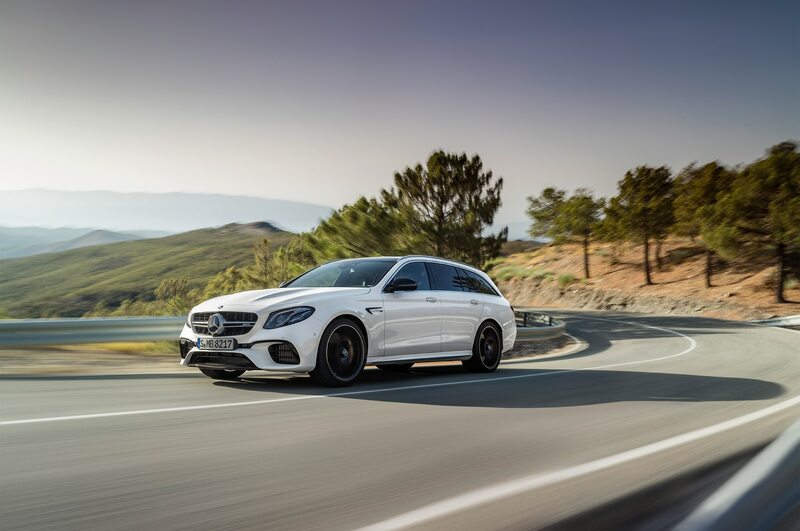 ALGARVE, Portugal – Just when the four-door supercar clichés were getting stale, Affalterbach’s latest five-seat übersled nudges so dangerously close to midlife crisis-worthy, scissor-winged, unpronounceable exotic-car territory that there may be more than a trace of truth to the hyperbole after all. 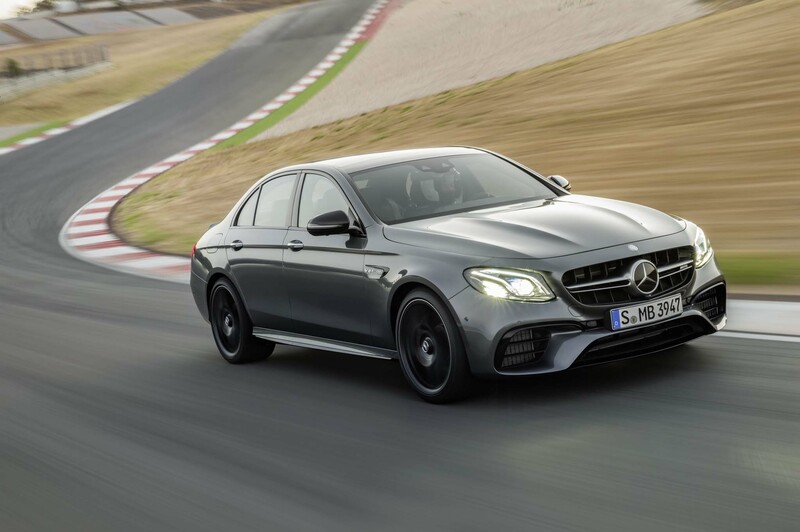 Spanking 60 mph in a claimed 3.3 seconds with a 603 horsepower twin-turbo V-8, the 2018 Mercedes-AMG E63 S easily bests its predecessors, not to mention many respectable sports cars that lack kid-friendly rear seats and a grocery-hauling trunk. 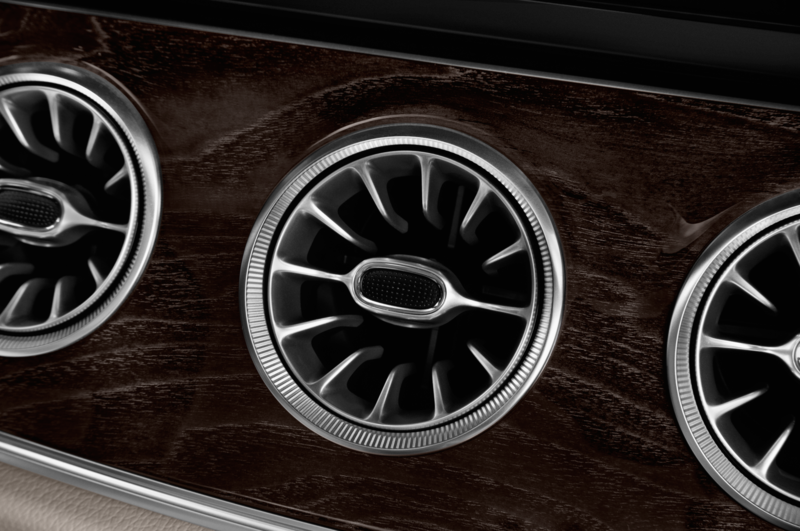 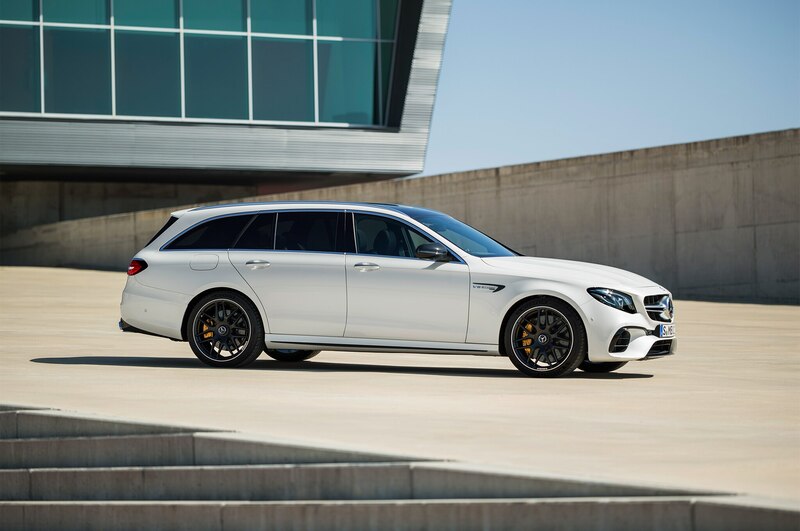 Have we mentioned this is a glorious time to be a four-door fan? 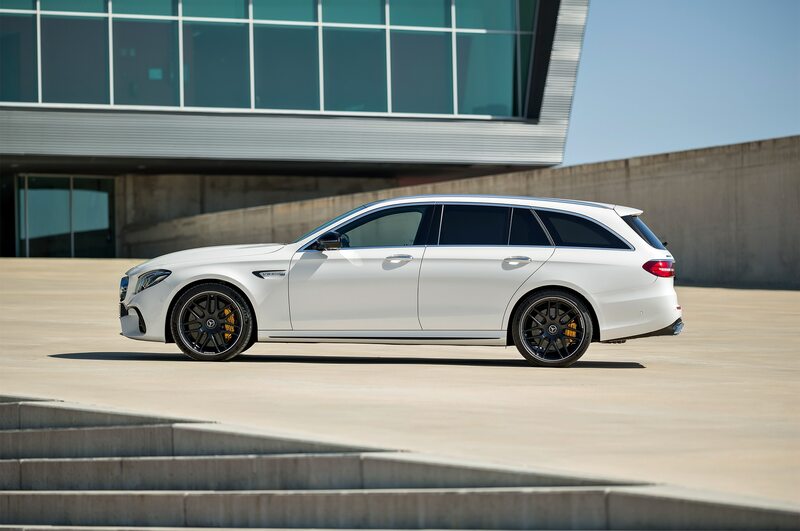 The specs are swole and the motor is madness, but the key to the E63’s paradoxical extremes lie somewhere between its V-8 and its four Pirelli-wrapped wheels. 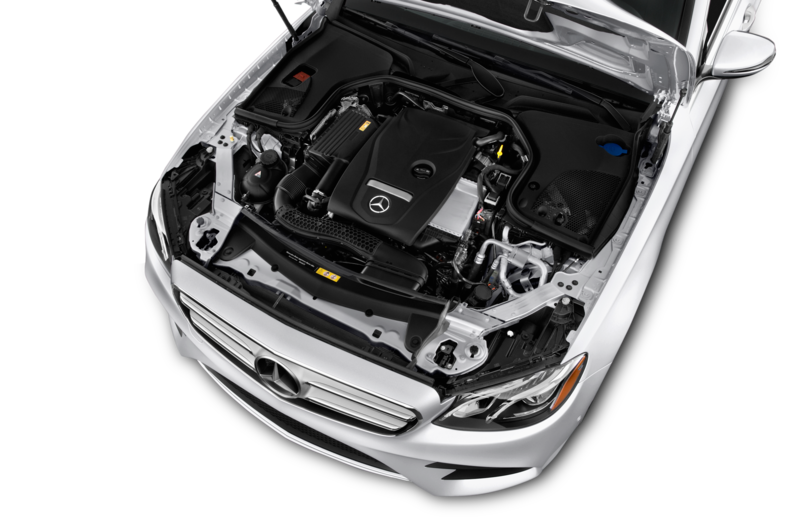 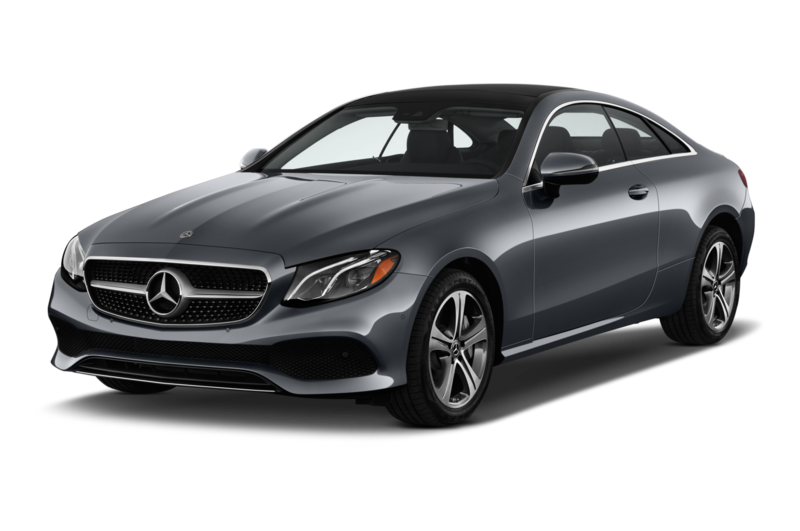 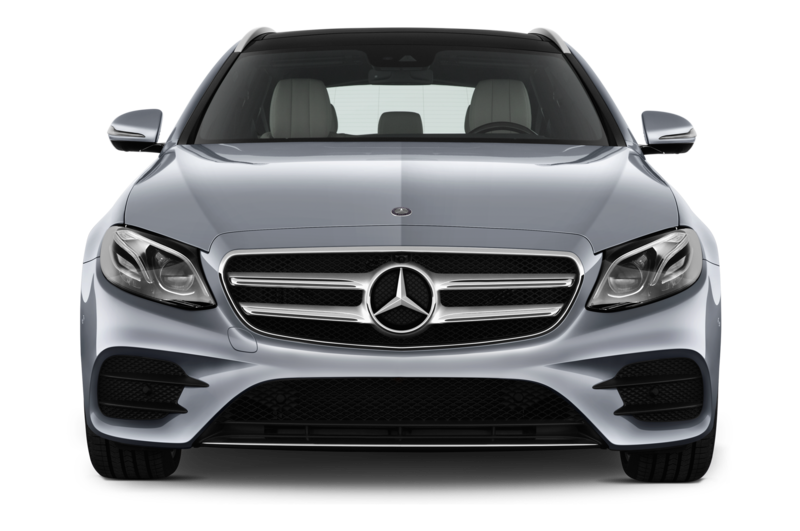 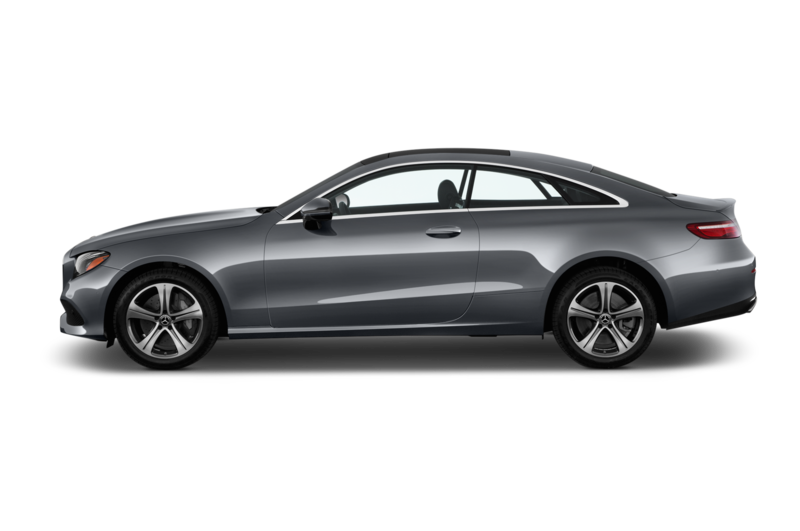 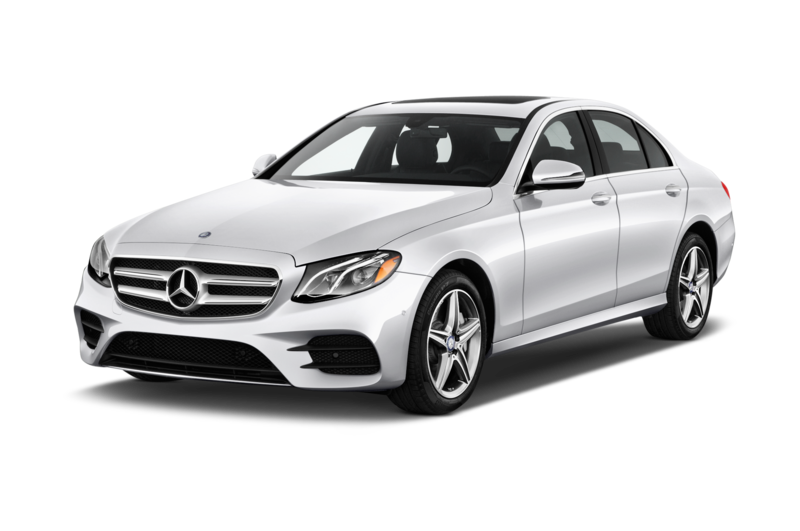 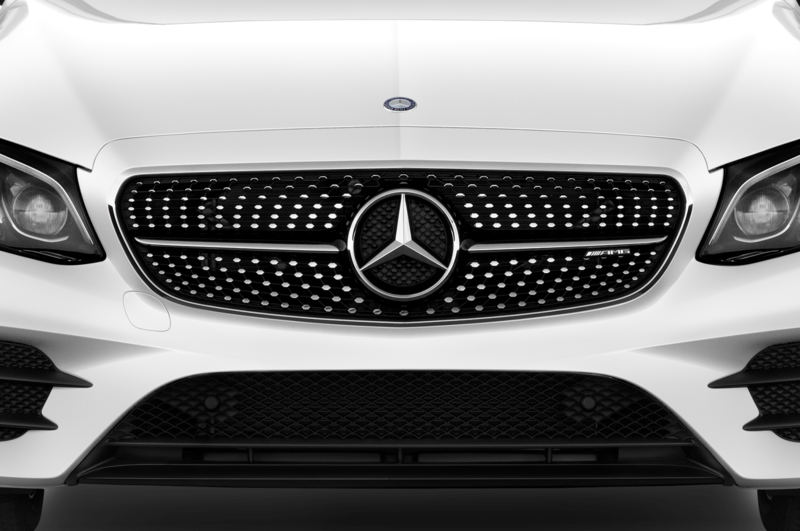 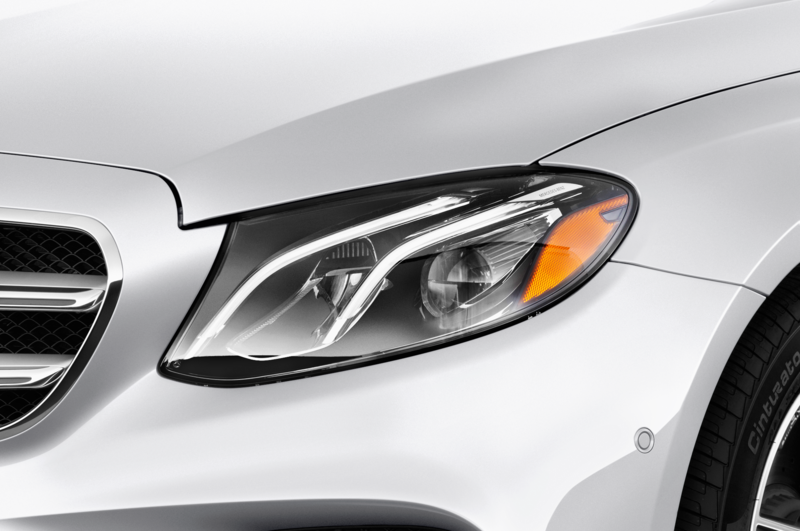 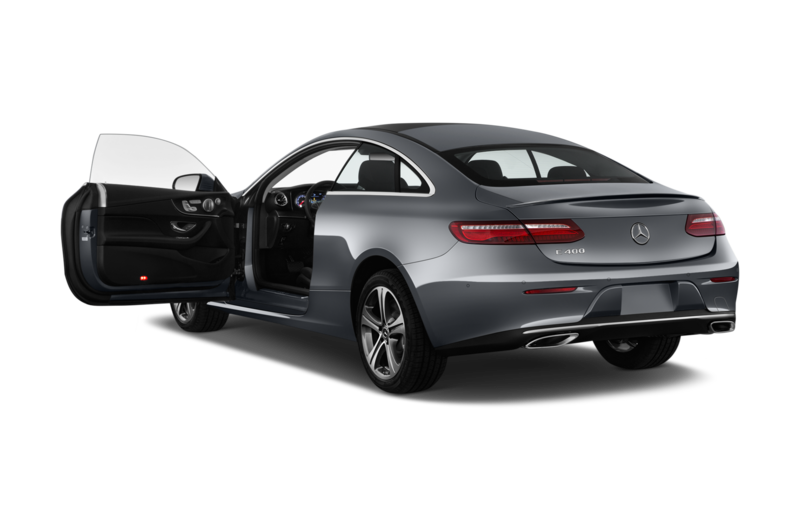 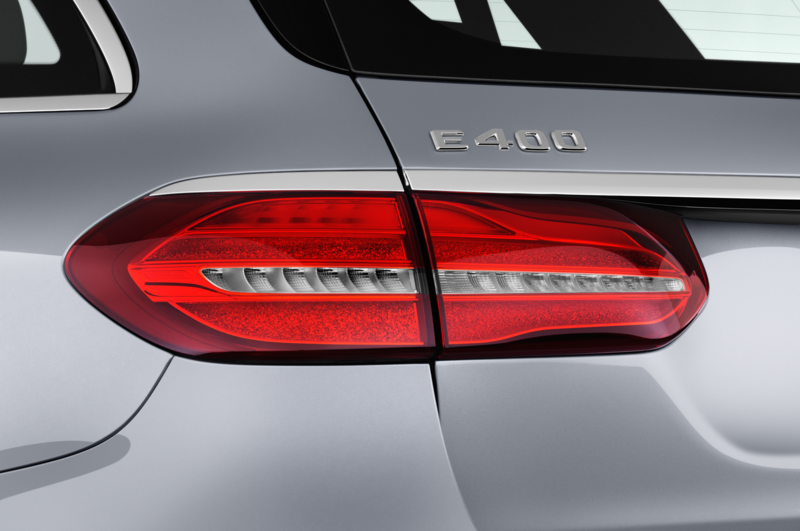 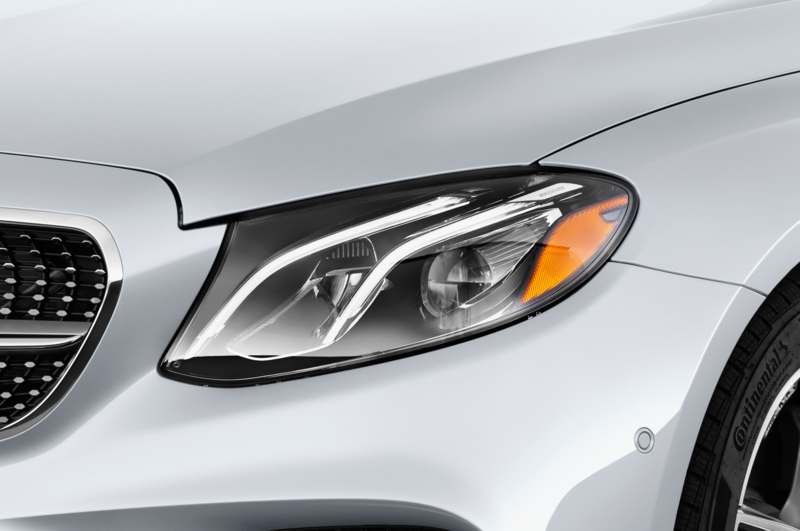 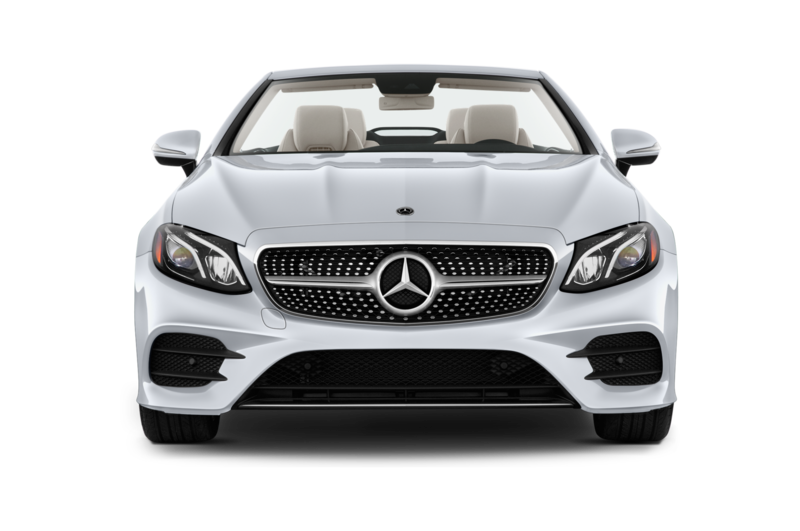 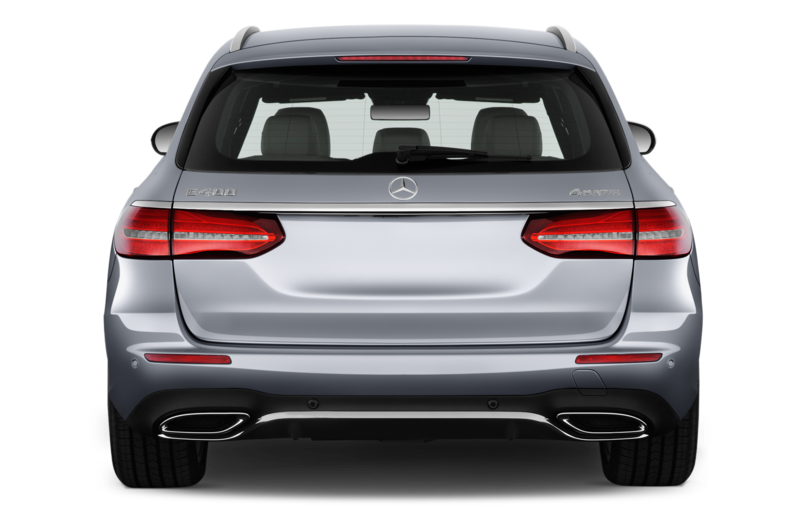 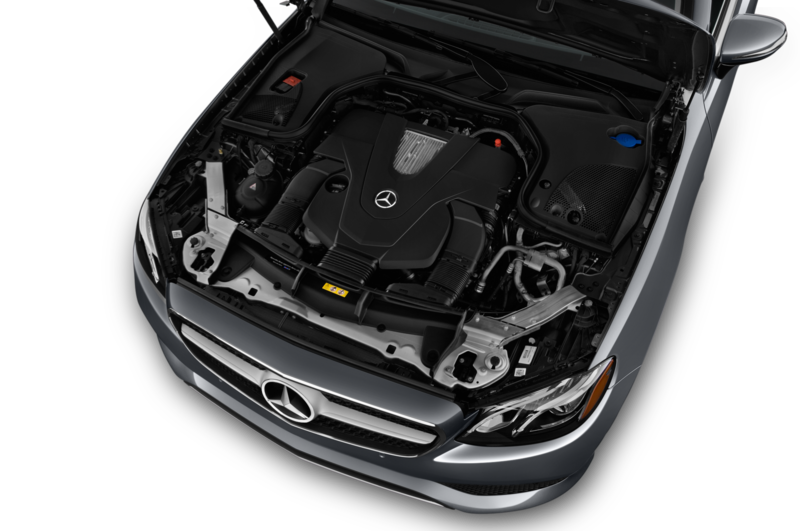 Incorporating Mercedes-Benz’s first fully variable all-wheel drive system, the 4Matic moniker is now followed by a small “+” and a big change in how power gets delivered to the ground. 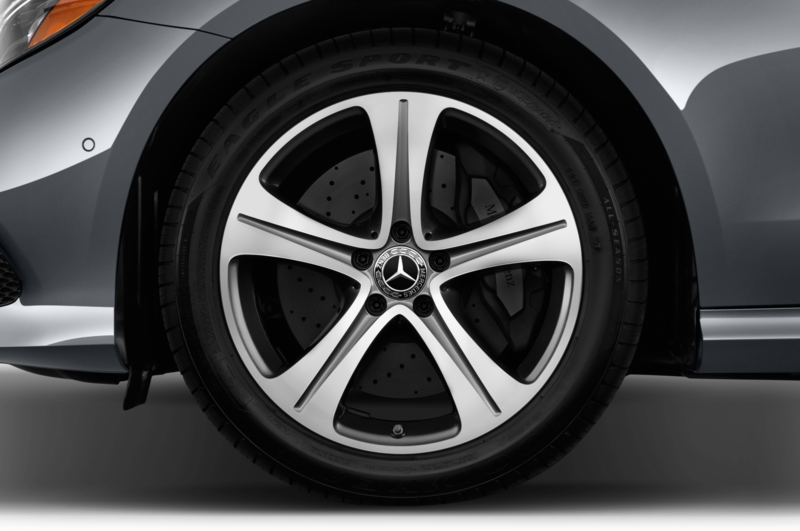 Using an electromechanical coupling the size of a bocce ball, the multi-clutch pack connects the always-linked rear axle to the front axle. 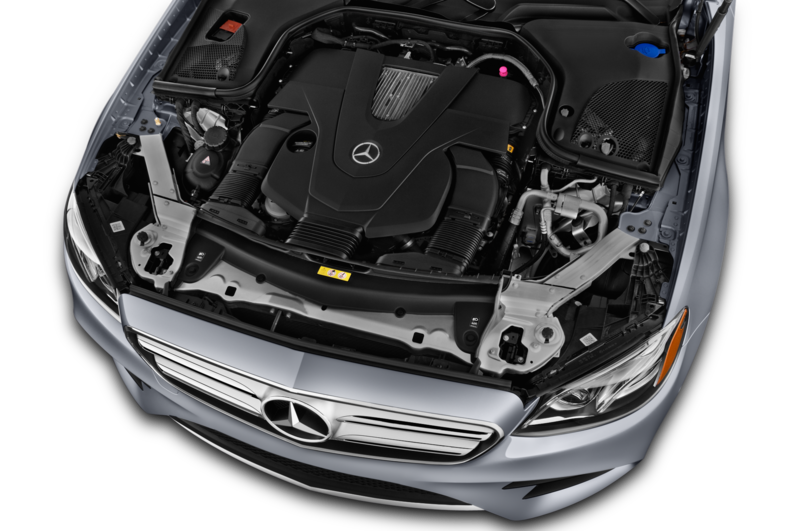 Encounter a dynamically unfriendly condition — say, an icy patch at the car’s leading edge — and the system transfers up to 100 percent of torque to the front. 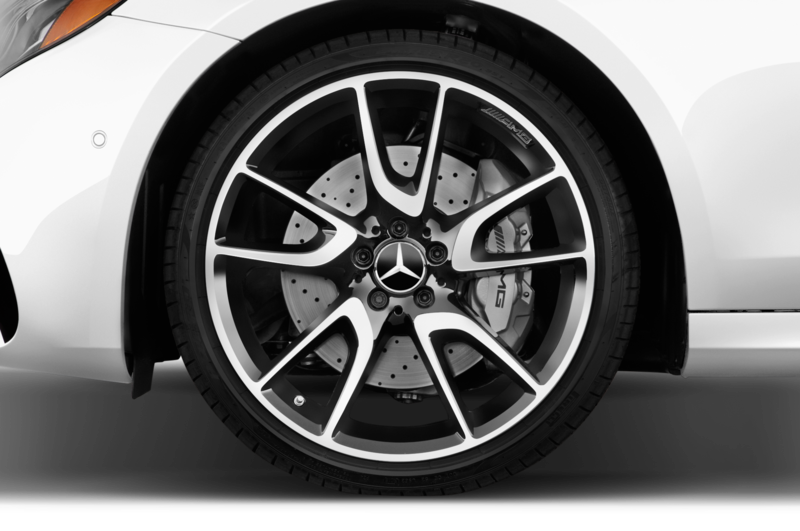 Miss the good ol’ days of tire smoking hoonery? There’s a not-so-secret setting that should get your tail-happy heart pumping: Drift mode. 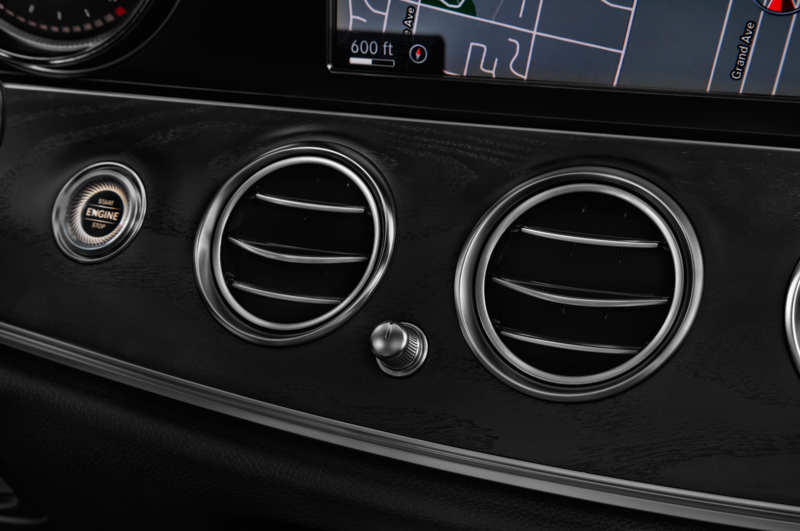 Only a bit of procedural protocol is involved. 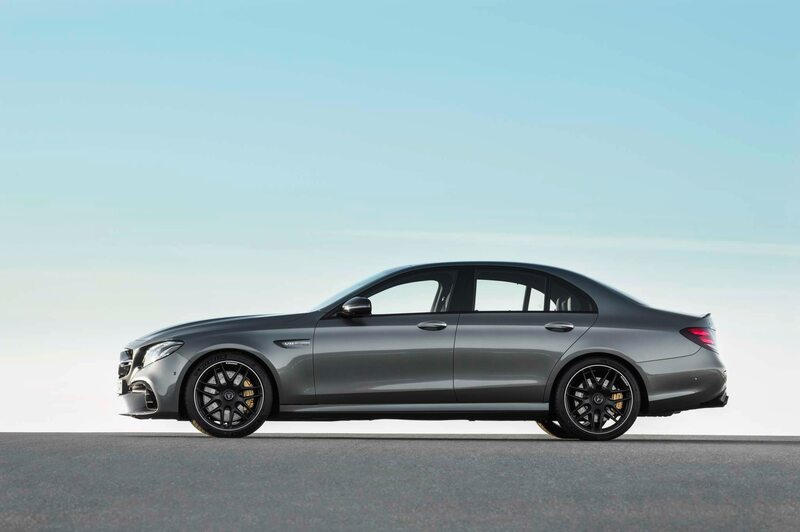 Select Race mode, switch the 9-speed gearbox into manual, hold the ESP button until stability control is turned off, grab both paddles, and accept the prompt by tapping the right paddle, and you can re-live the days when a 603 horsepower luxury sedan still felt unmistakably, obscenely excessive. 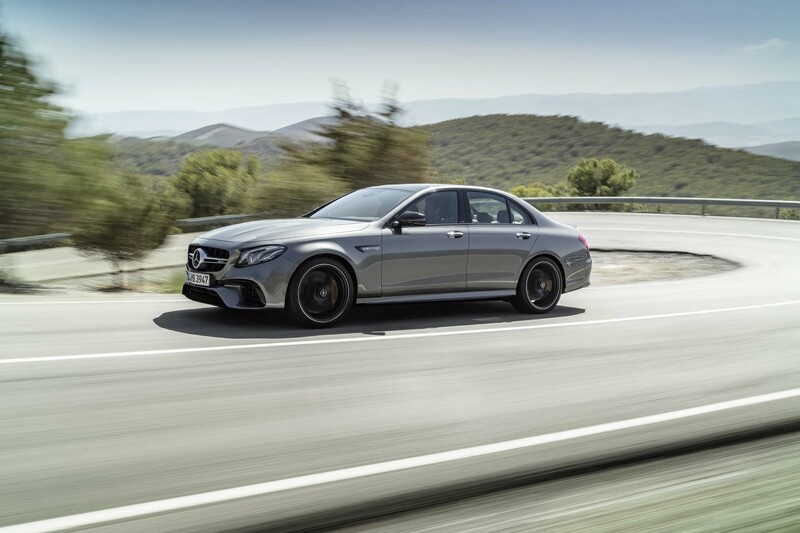 The last time we had our first taste of an all-new E63 on a track, we chased AMG honcho Tobias Moers in an SLS Black Series at Circuit Paul Ricard in southern France. 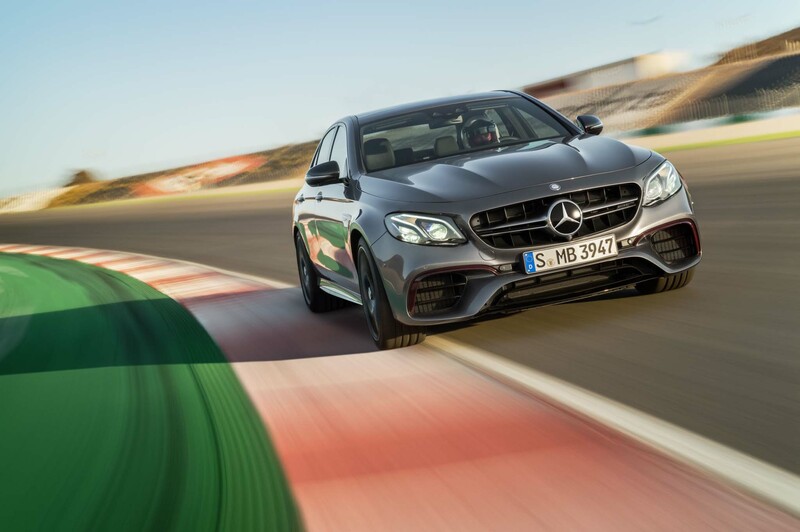 This time, our task is to trail DTM racing legend Bernd Schneider in a GT S at the Algarve International Circuit in Portugal. 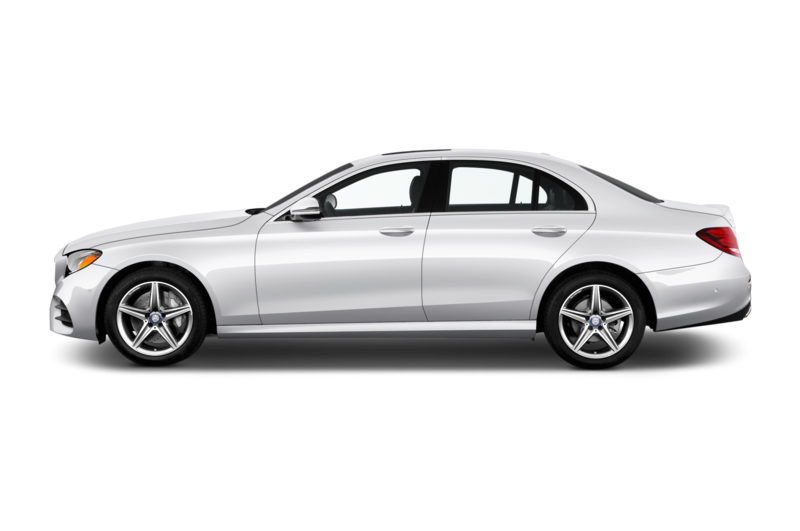 My, what a difference four years makes. 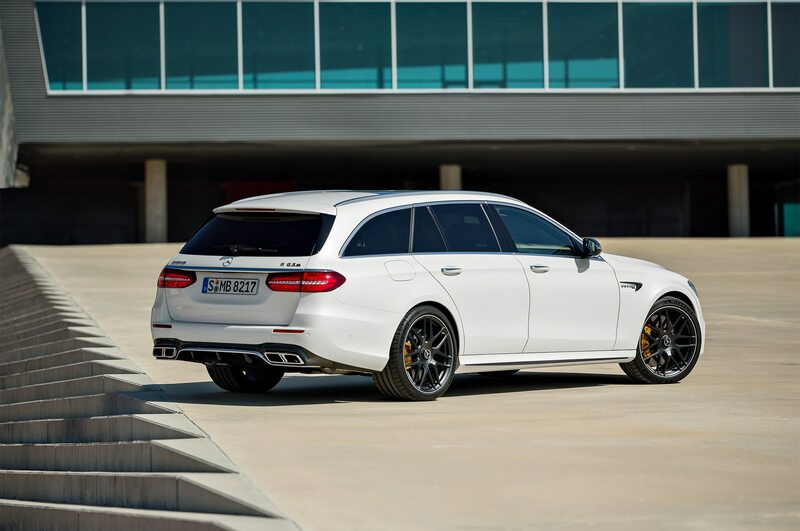 Select the most effective engine/gearbox/suspension setup — Race mode, ESP in Sport Handling — and the twin-turbo V-8 emits a reassuringly burbly idle. 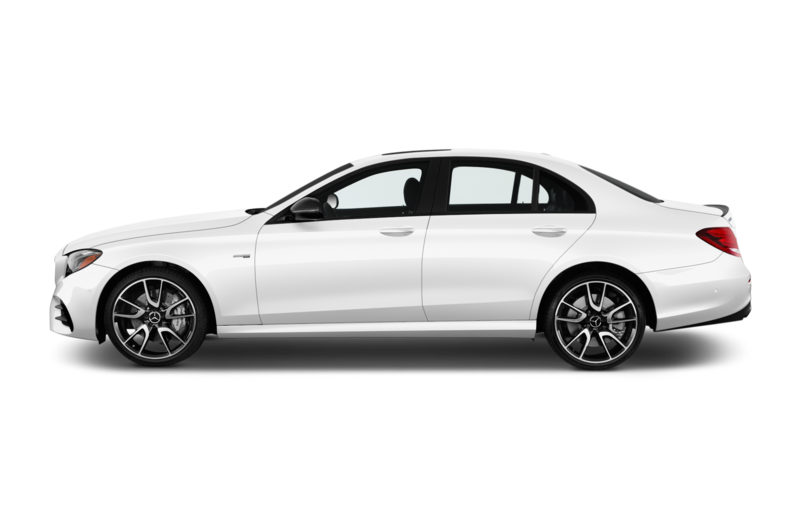 The boys in Affalterbach have done well by coaxing acoustic character without resorting to artificially enhanced sounds. 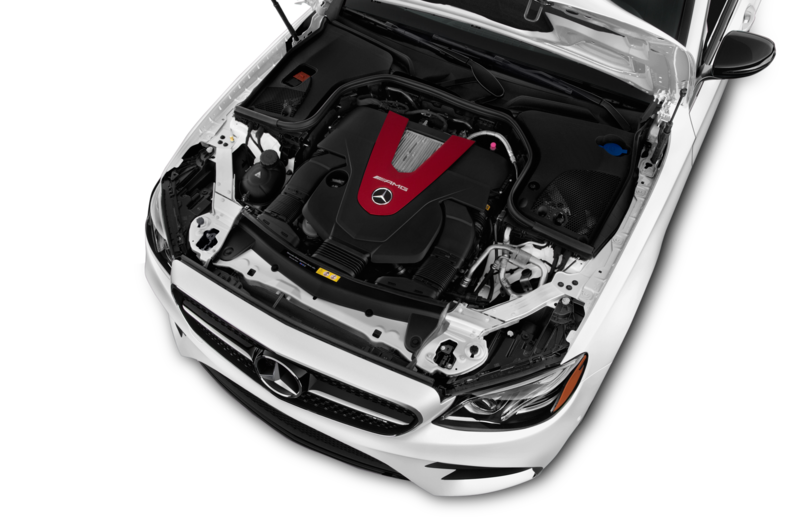 The new mill benefits from upgraded pistons, optimized airflow, and the first use of twin-scroll turbochargers, which enhance throttle response and engine output. 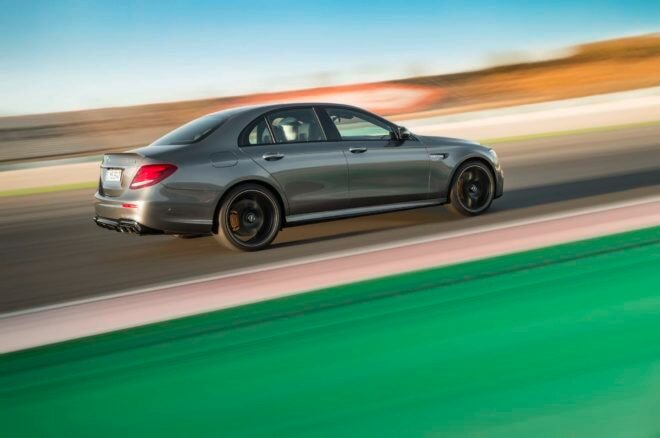 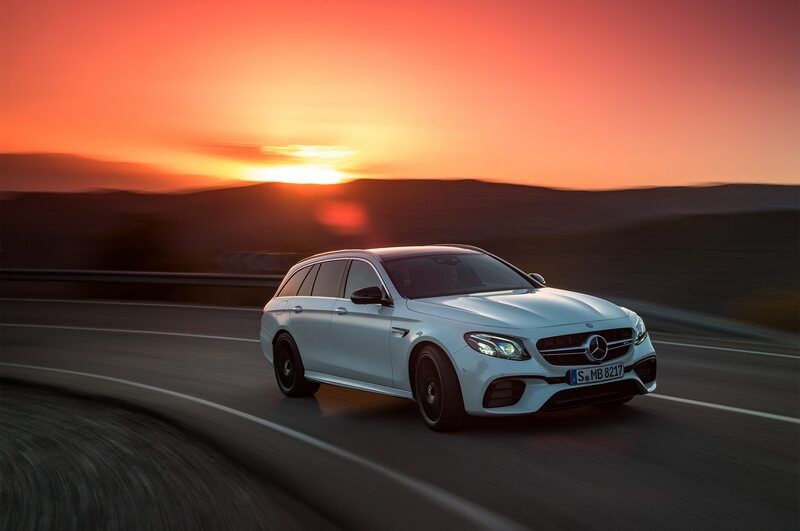 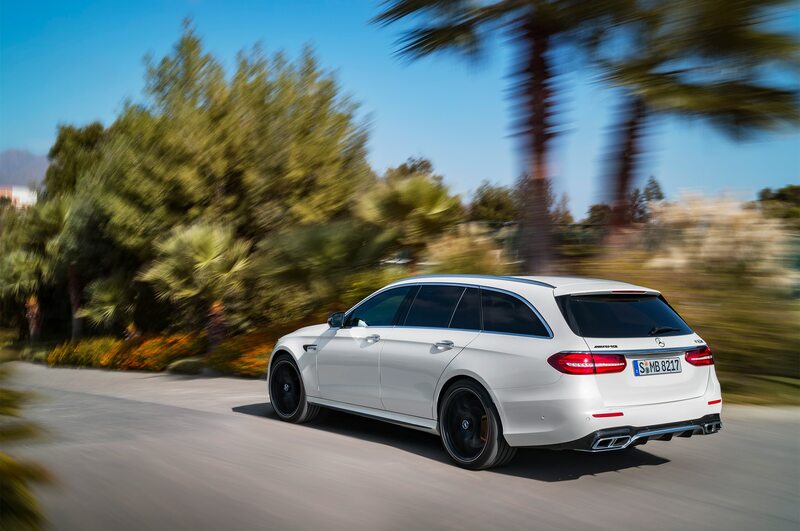 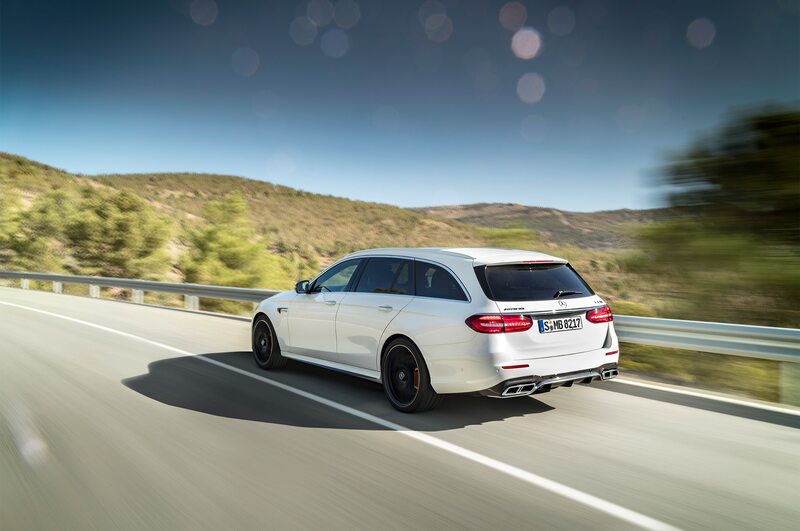 On straight-line stretches of Circuit Algarve, the E63 hangs with the feisty GT S, the sedan’s power-to-weight equation essentially nullifying the several hundred pound difference between the two. 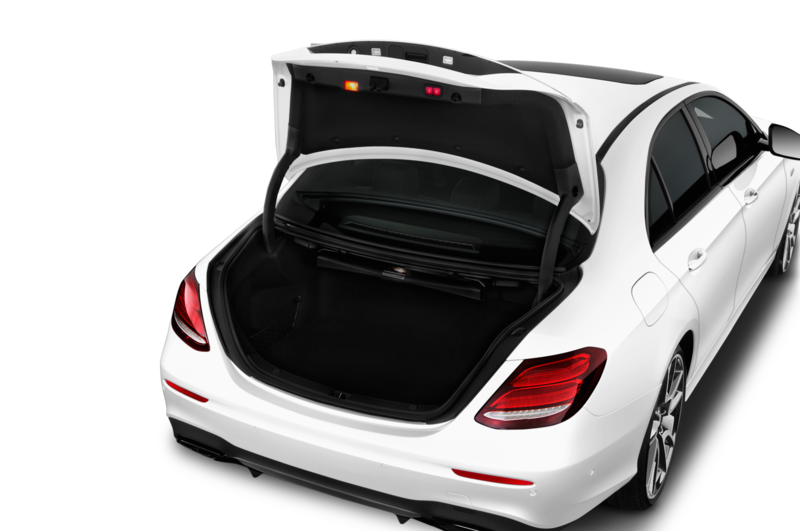 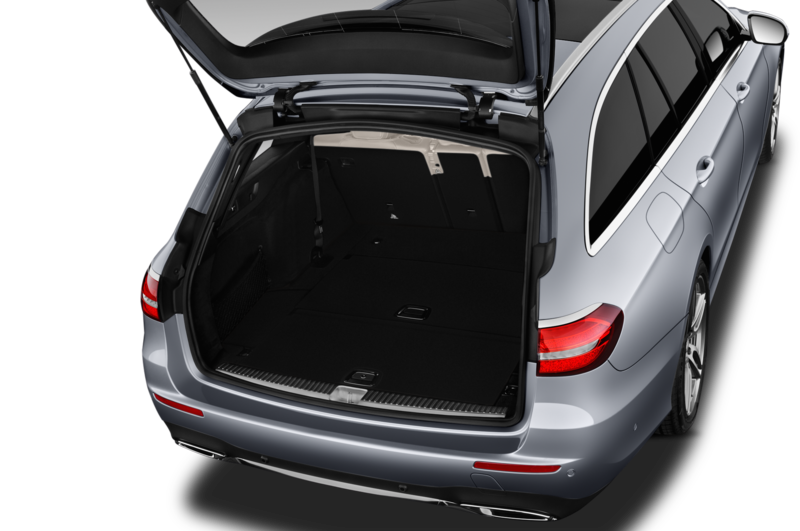 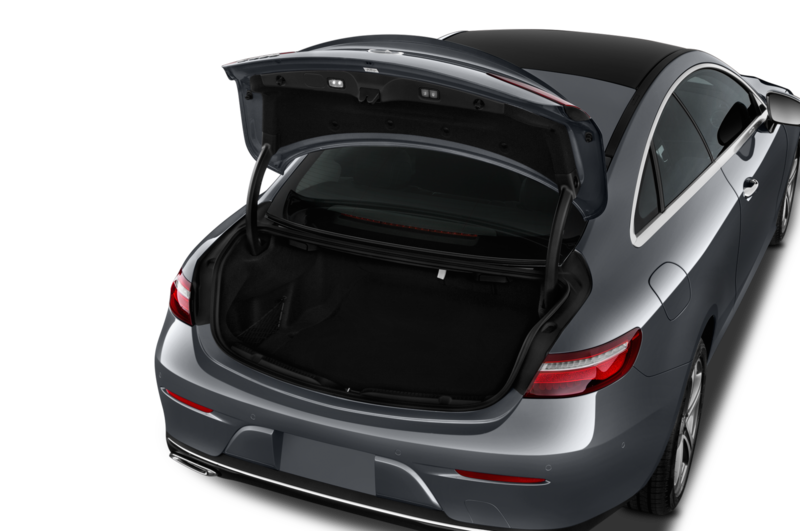 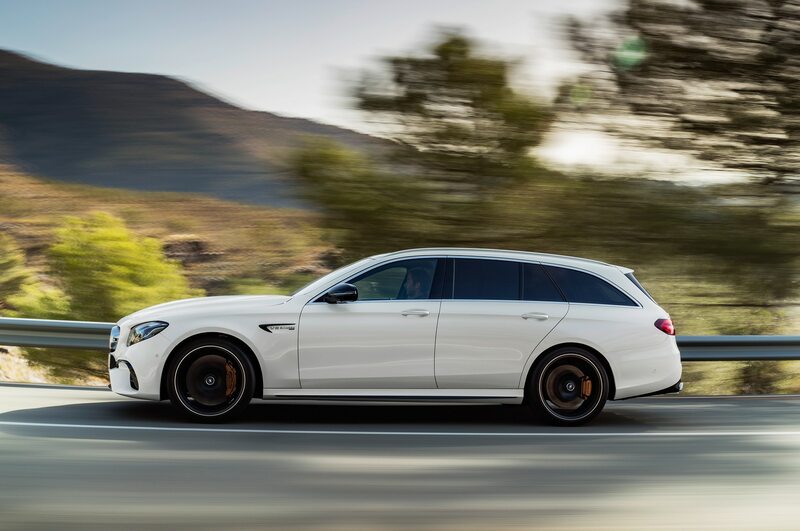 Though the new E63 tips the scales with just a few more pounds than its predecessor, the gap remains slim thanks to a body-in-white that’s 115 pounds lighter, aided by an aluminum hood and fenders and a carbon fiber spare tire carrier. 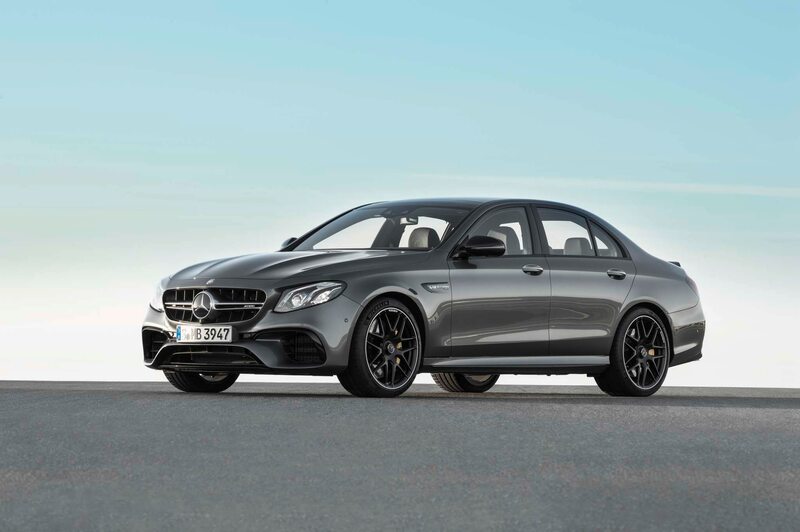 Toss the E63 into a corner just behind a GT S and the differences in wheelbase, center of gravity, and curb weight offer stark reminders you’re driving a sedan: as the GT S threads through the apex, the E-Class works to hustle its mass. 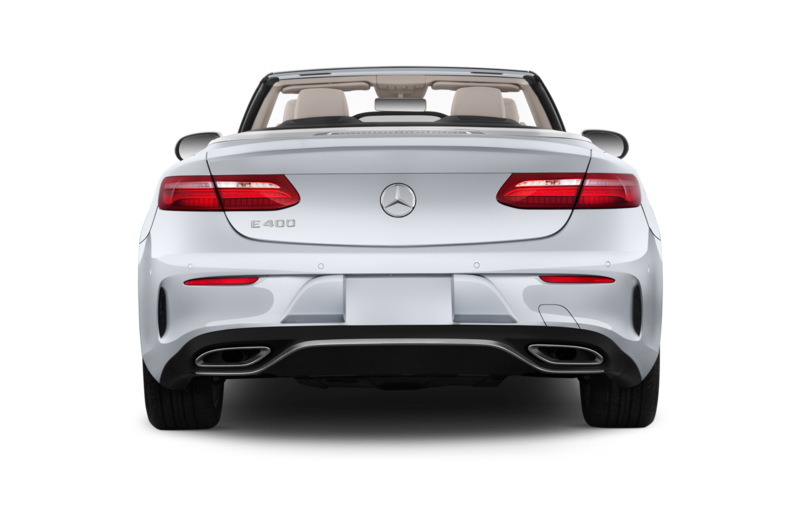 Though perceptible, the disadvantages are significantly fewer than how its predecessor struggled against the SLS a generation ago. 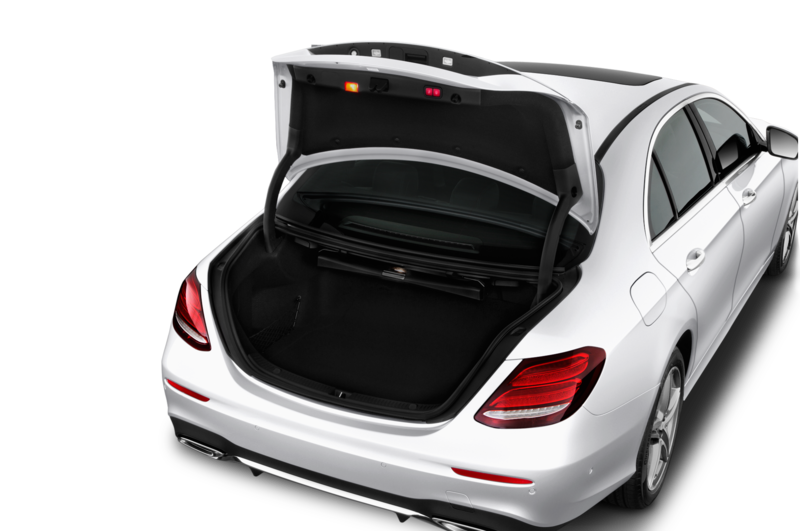 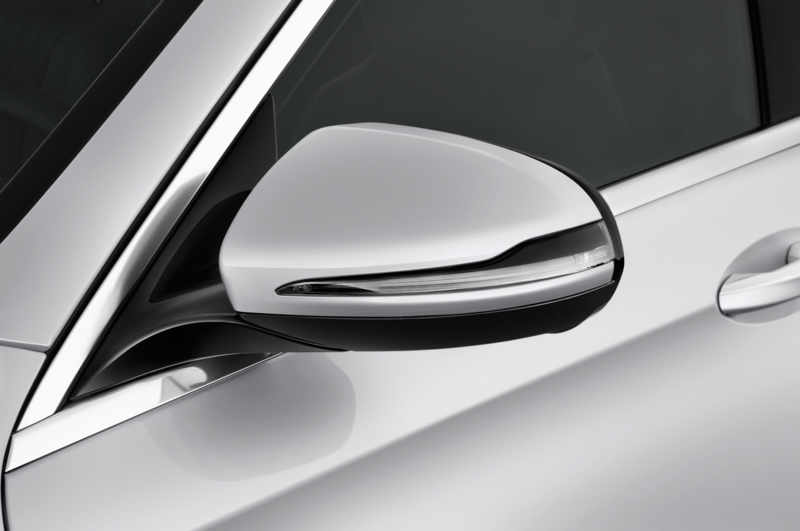 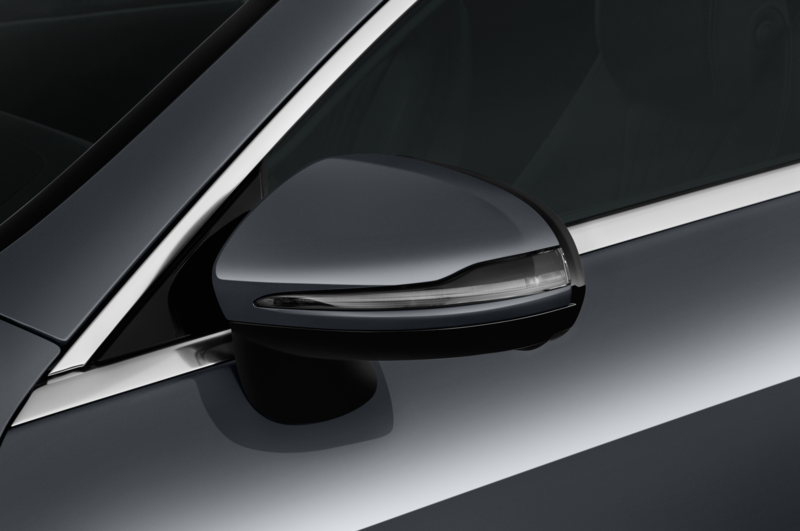 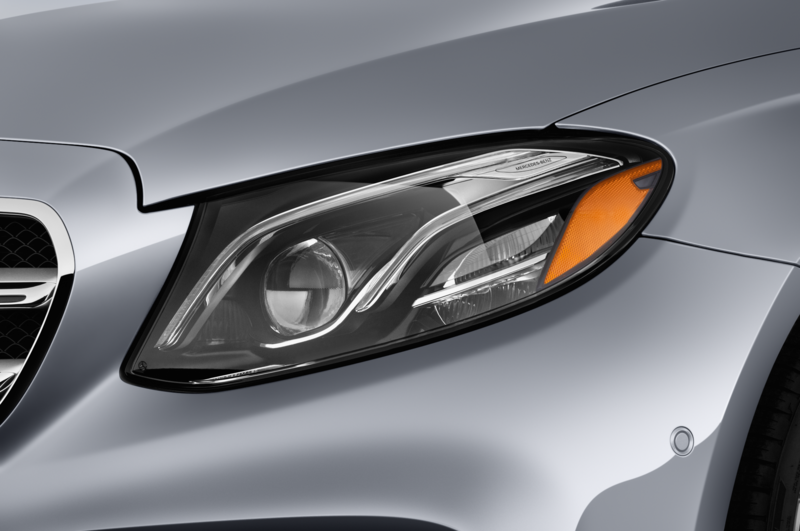 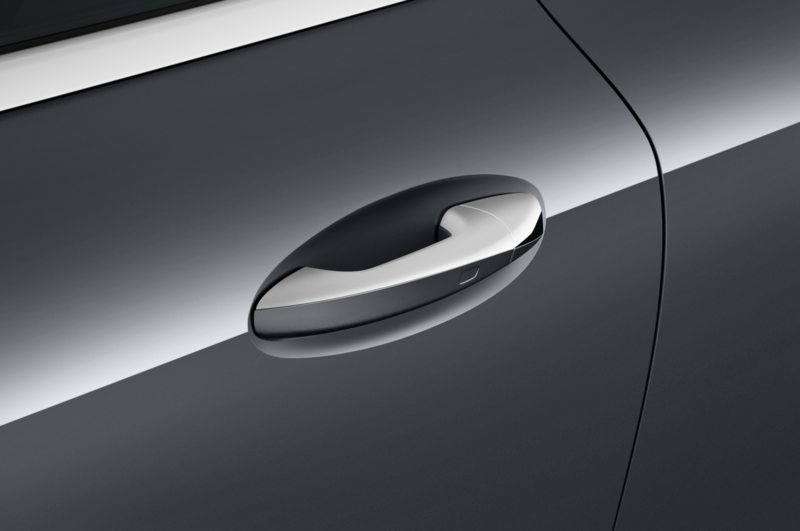 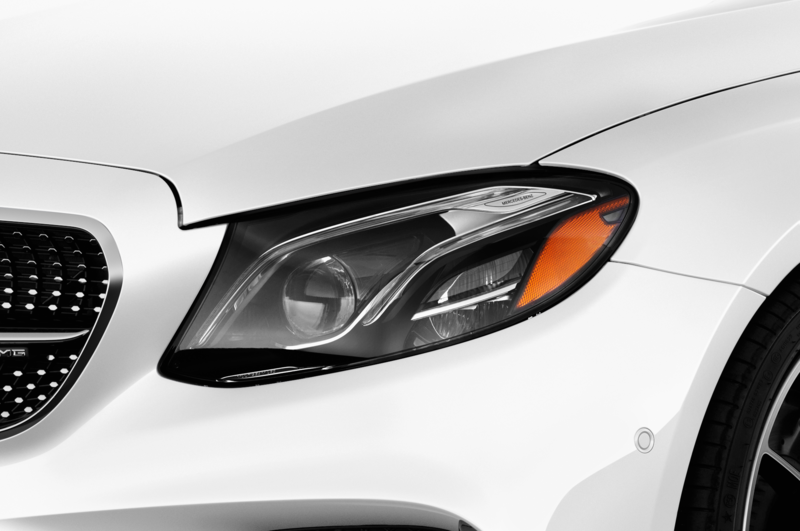 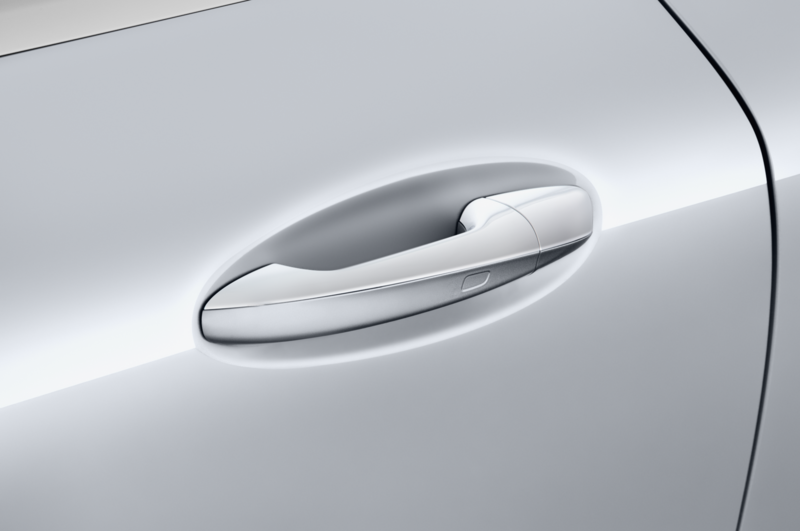 Back then, the sedan’s safety systems awkwardly triggered emergency braking when following the lead vehicle too closely and the car felt bigger, heavier, and sloppier in corners. 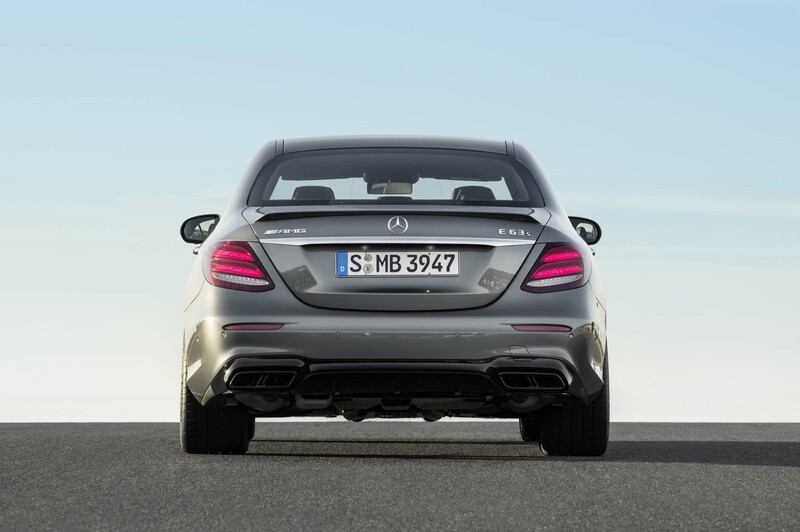 On more than one occasion, the SLS easily attained a significant enough lead to leave the E-Class in the dust. 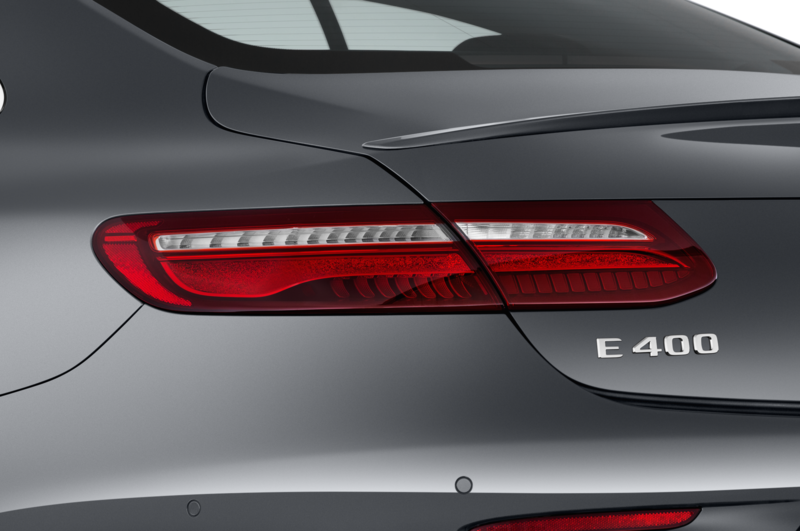 Now, the GT S still pulls away in the corners, but the E feels significantly more planted and controlled, its center and rear e-diffs laying down power and helping it emerge from bends more surefootedly. 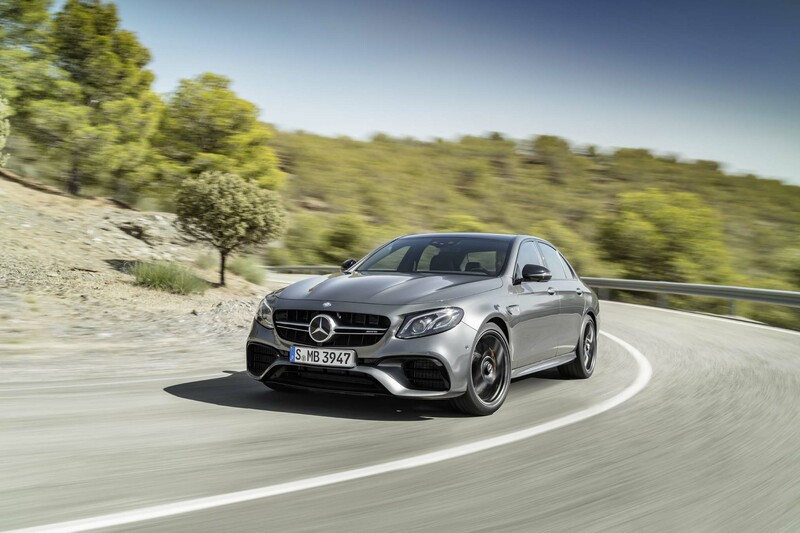 The robust power also helps when exiting corners, the V-8 charging ahead with furious acceleration as the nine-speed multiclutch gearbox bangs off quick, sharp shifts. 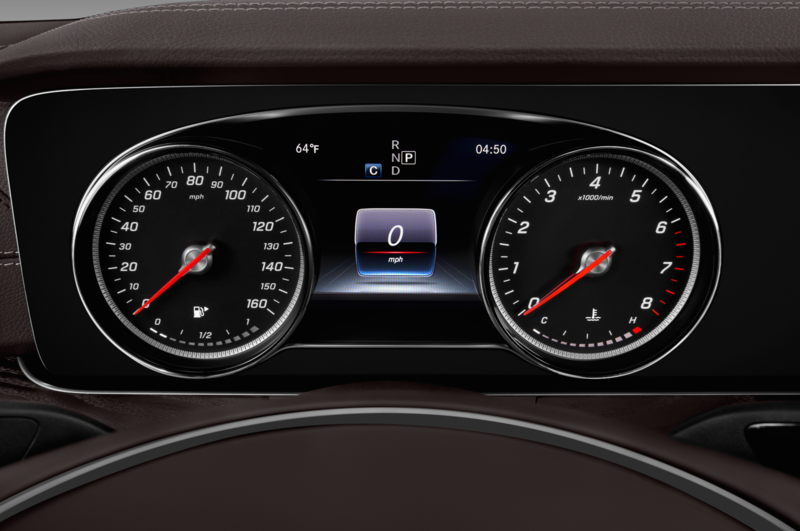 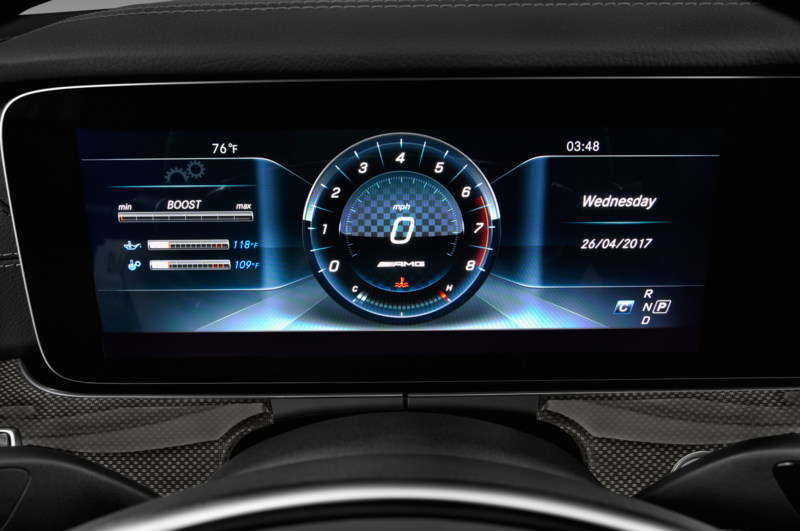 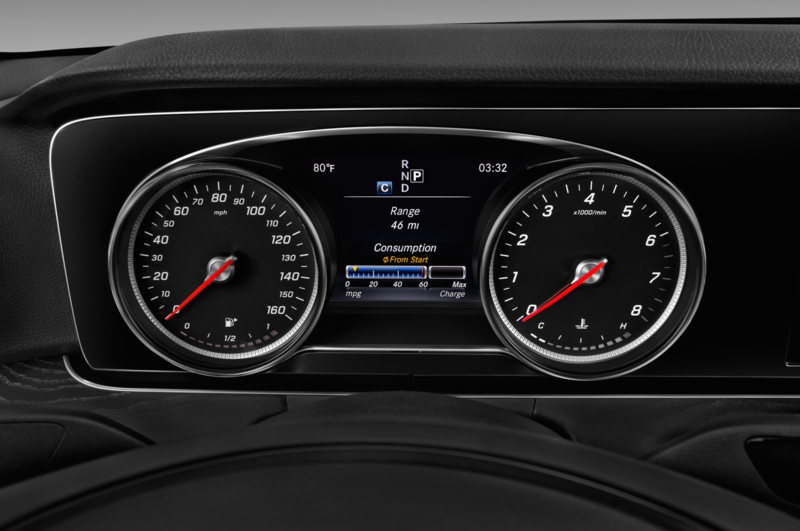 The system’s logic is smart and responsive enough in Sport + mode that the computer almost always seems to be in the correct gear and the optimal rpm. 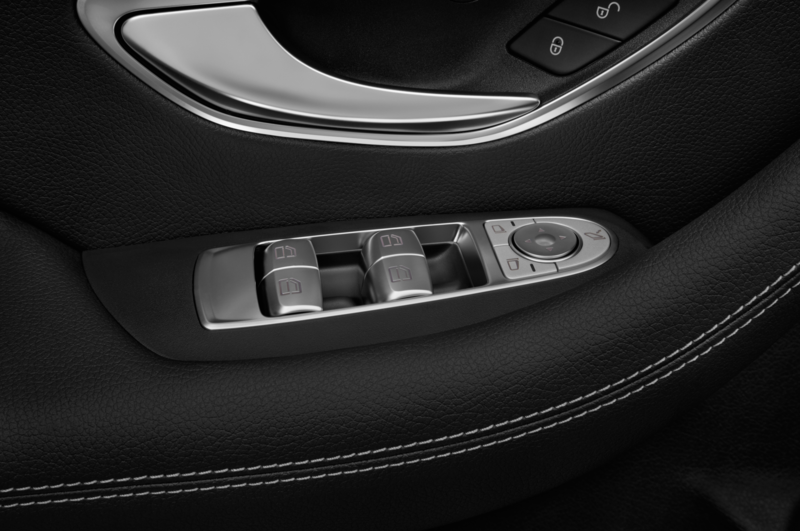 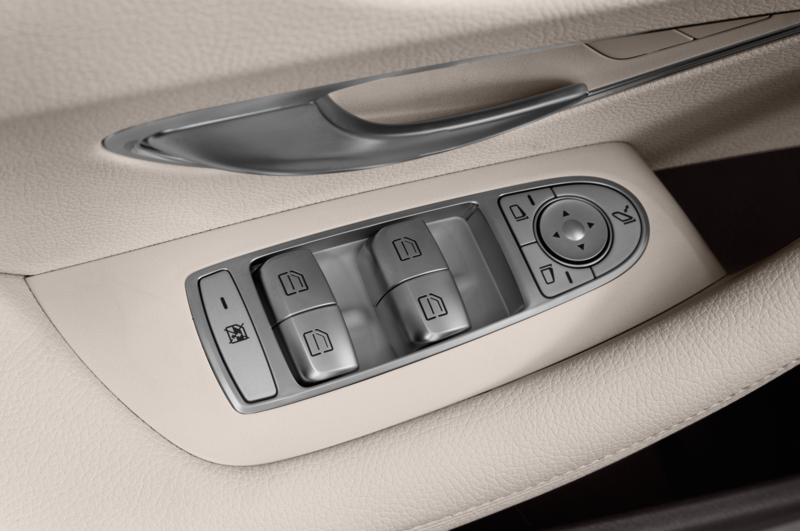 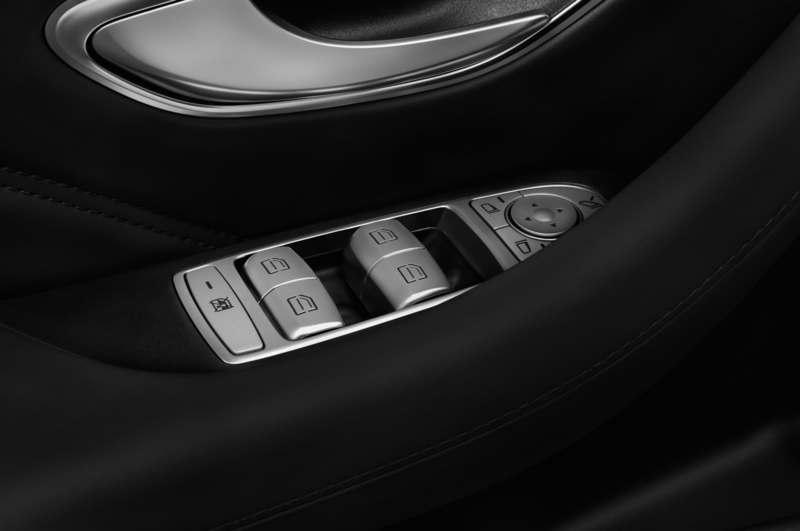 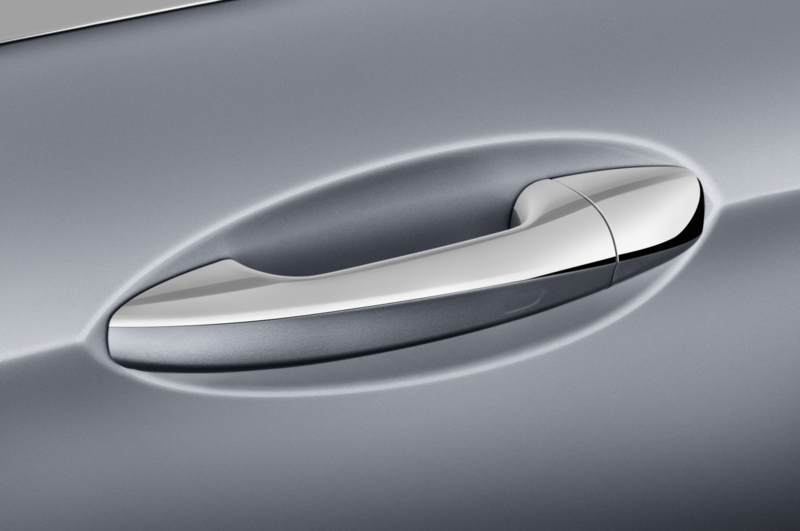 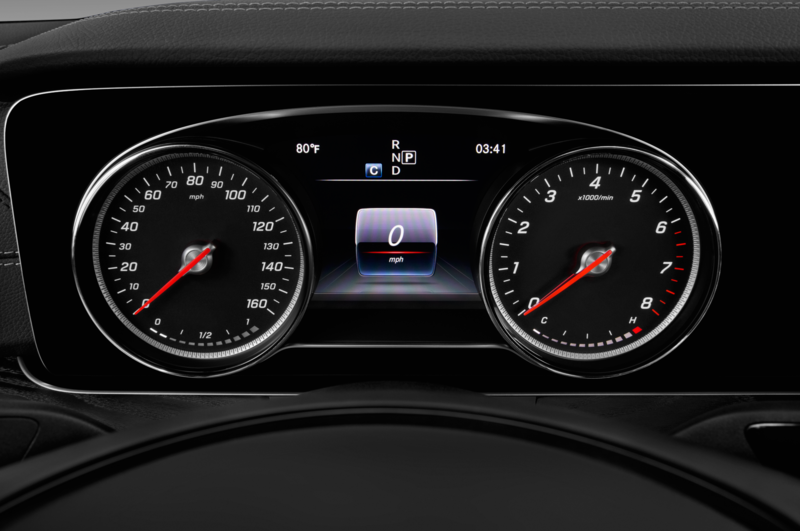 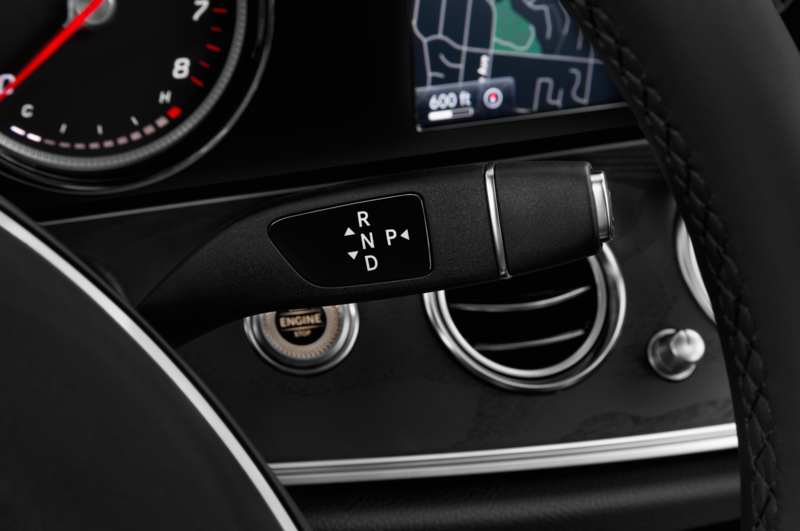 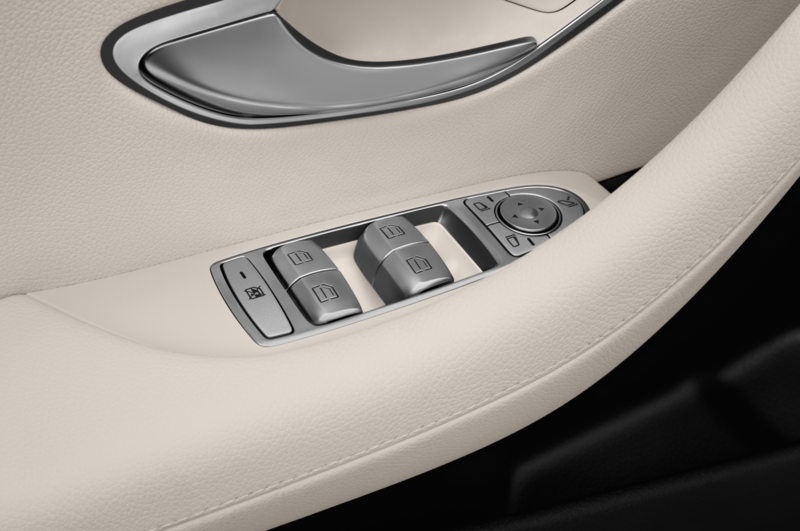 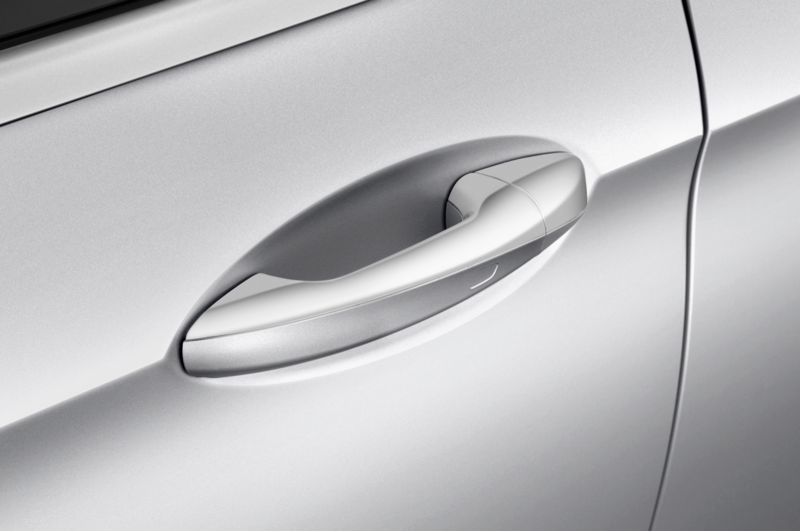 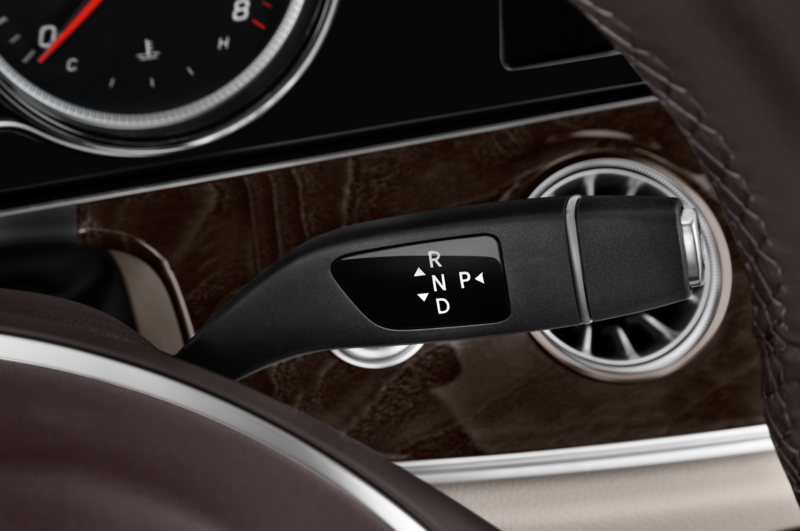 Switch to manual mode, and the paddle shifts feel noticeably quicker than the previous model. 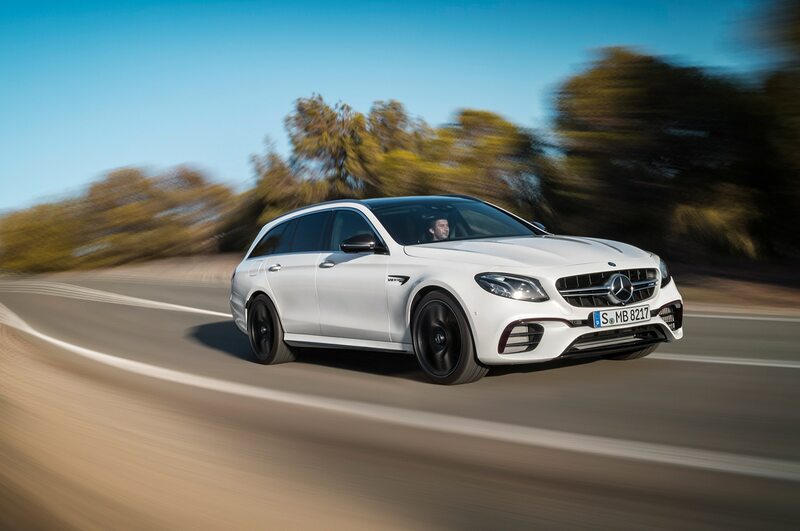 When I became acclimated to the nuances of Algarve’s corners (and push came to shove), the E63 trailed the GT S closer, with Schneider turning up the heat by countersteering through corners and pitching the agile two-seater sideways. 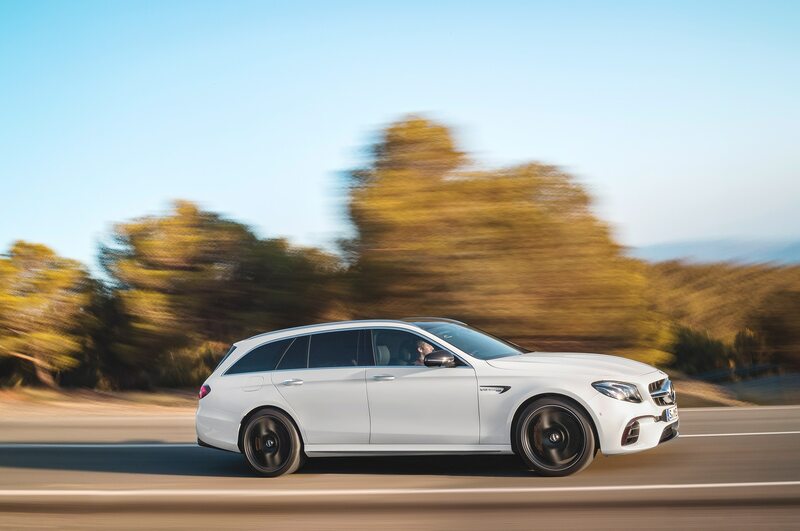 Tracking out of the final, large-scale right hand sweeper, the E63 remains stable as it drifts over the rumble strip and charges towards the straightaway. 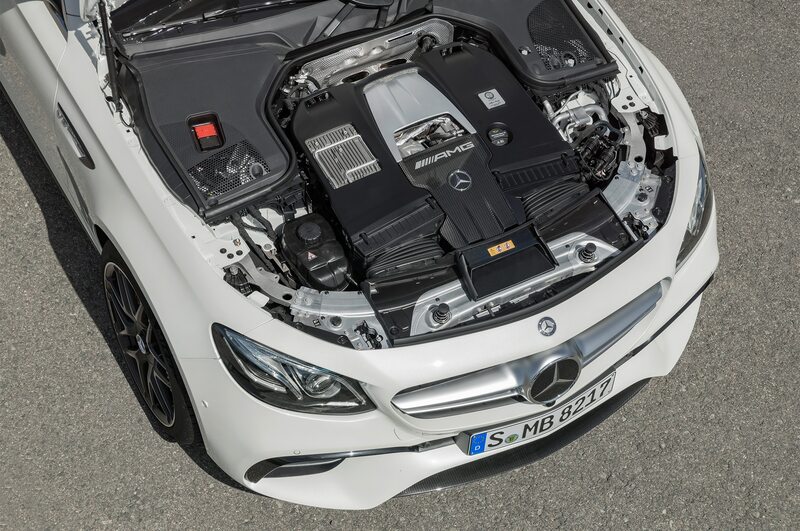 It’s along this lengthy stretch that the powerplant proves its brawn. 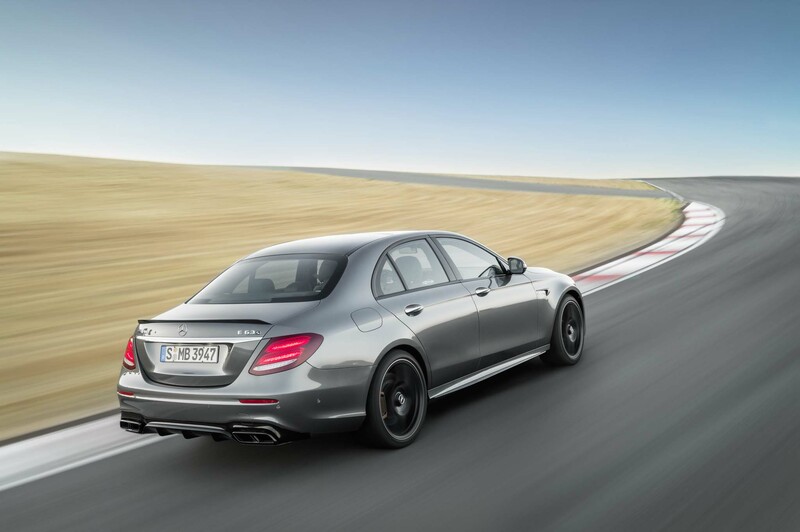 With the GT S just a couple car lengths ahead, the E63 pulls hard and keeps pace with the GT S until reaching an indicated 155 mph toward the back end of the straight — at which point I finally summon the carbon ceramic brakes for a spell of rapid deceleration. 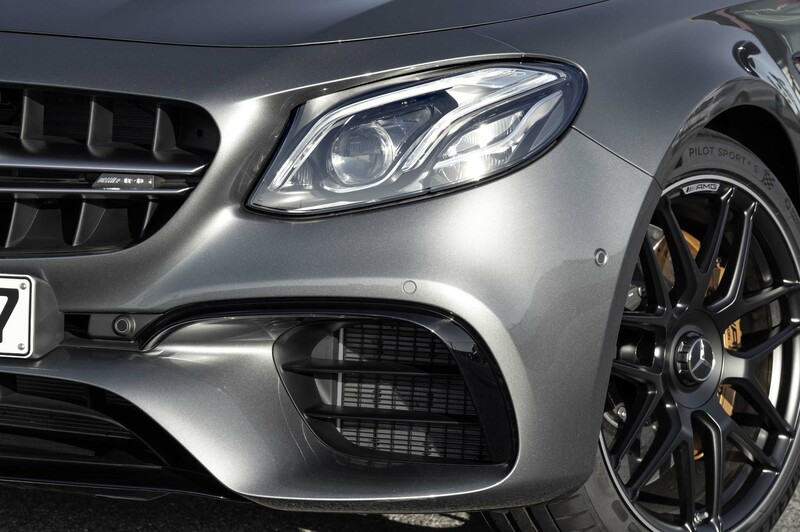 There’s a bit of suspension unsettling along the bumpy bits of the track, with the tail loosening from the left pedal stomping. 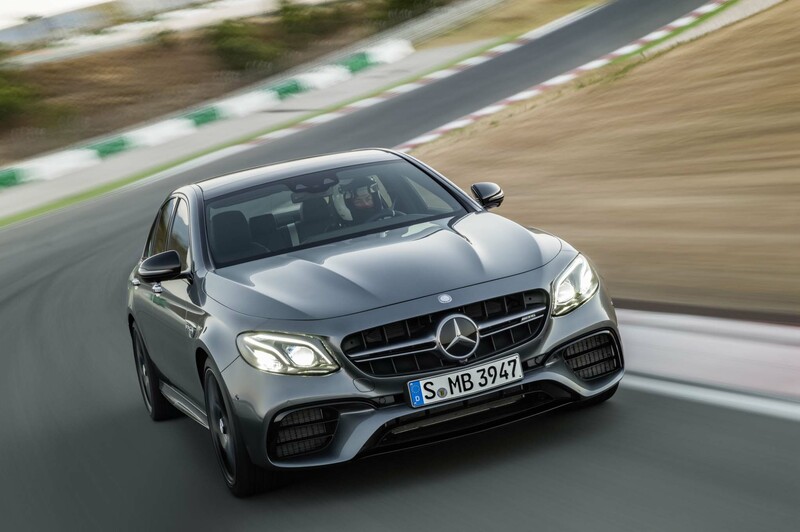 But the prevailing demeanor is one of athleticism and confidence, largely due to the all-wheel drive system’s traction, the significantly tighter chassis, and the seamless fluidity of the save-your-bacon electronics. 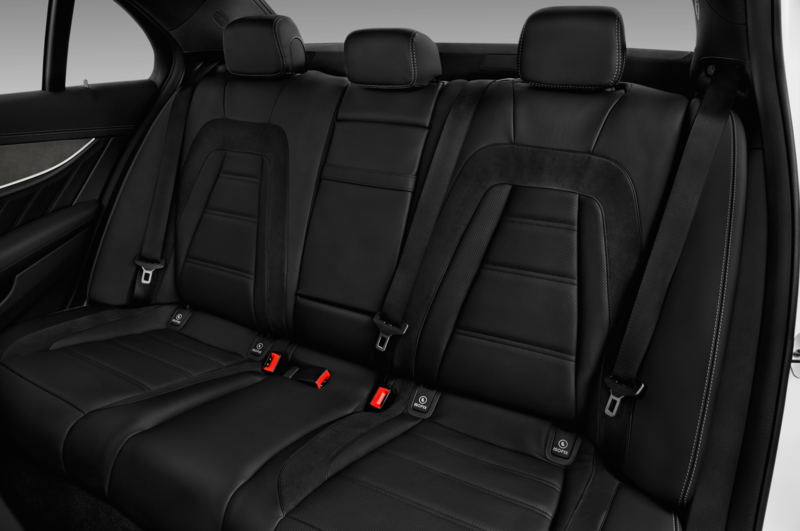 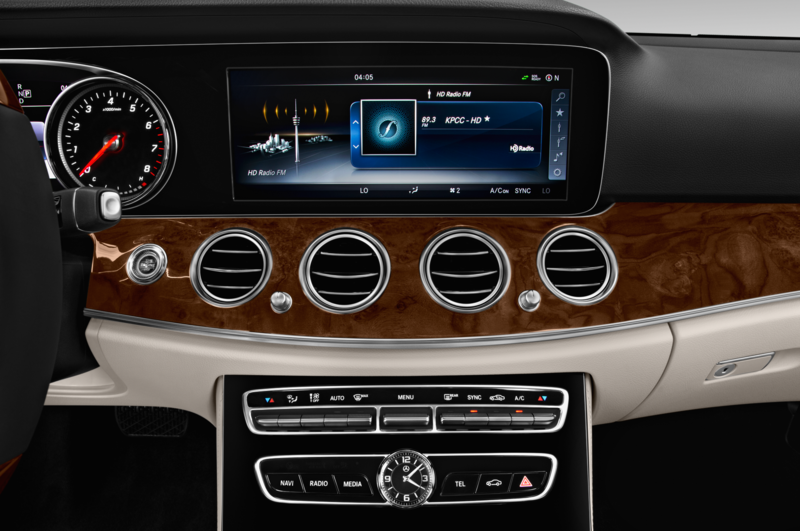 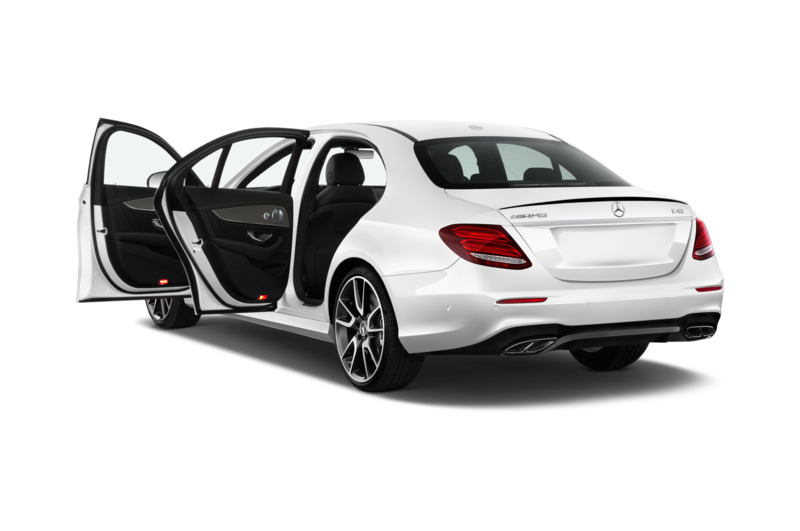 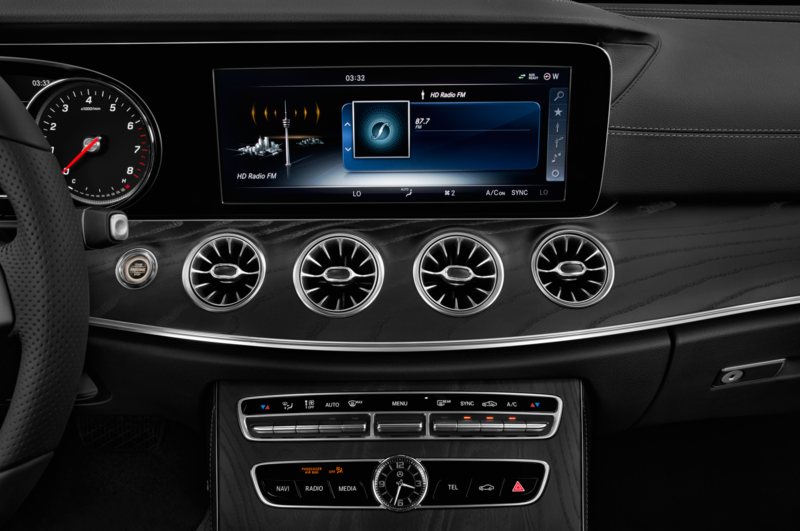 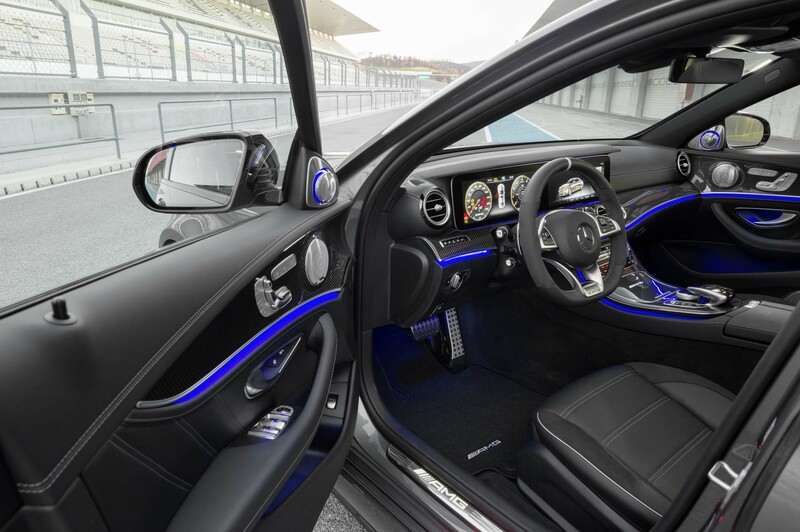 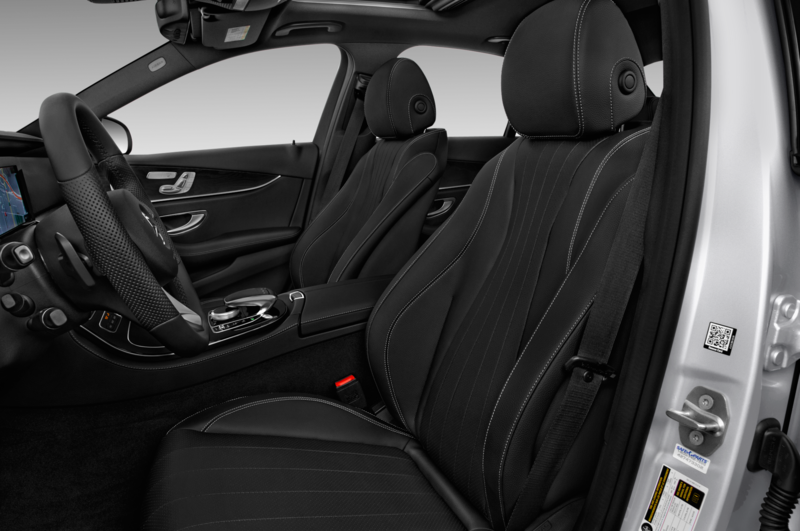 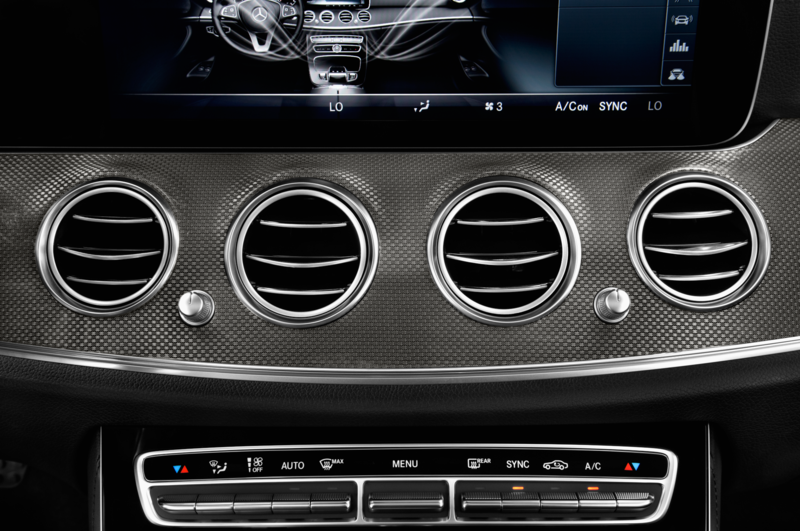 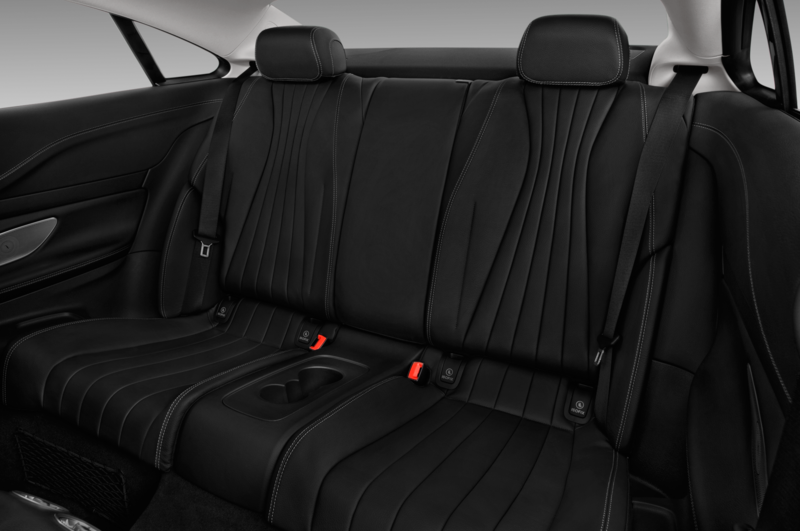 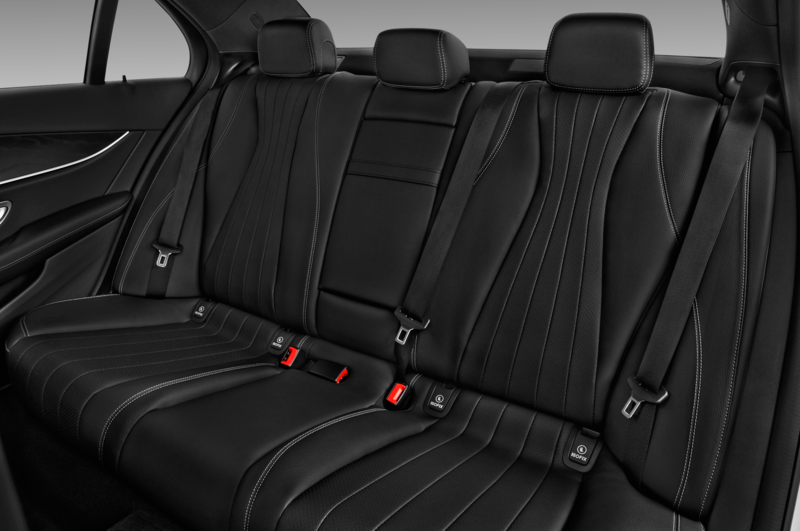 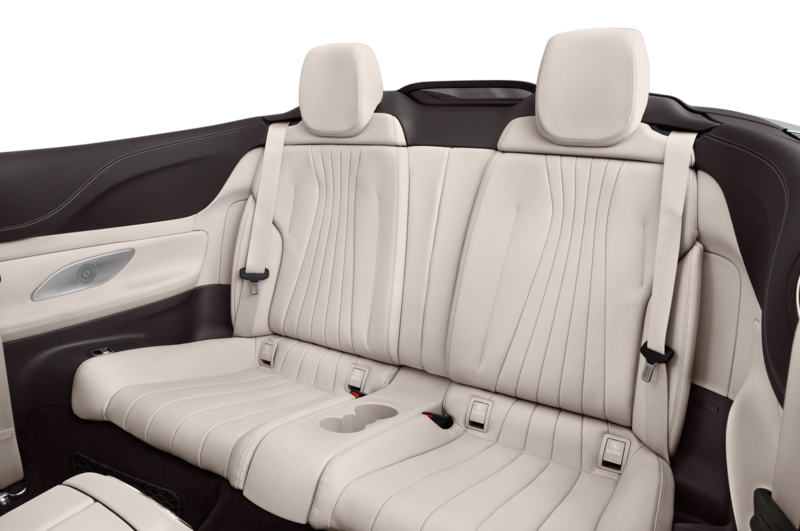 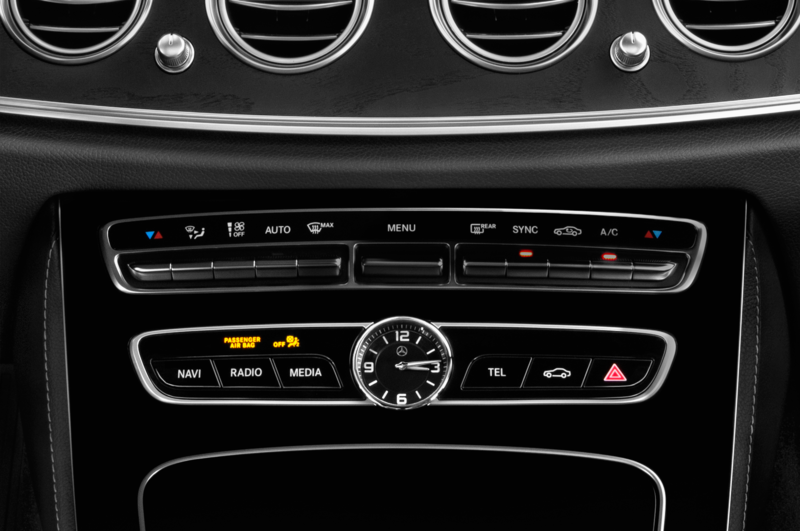 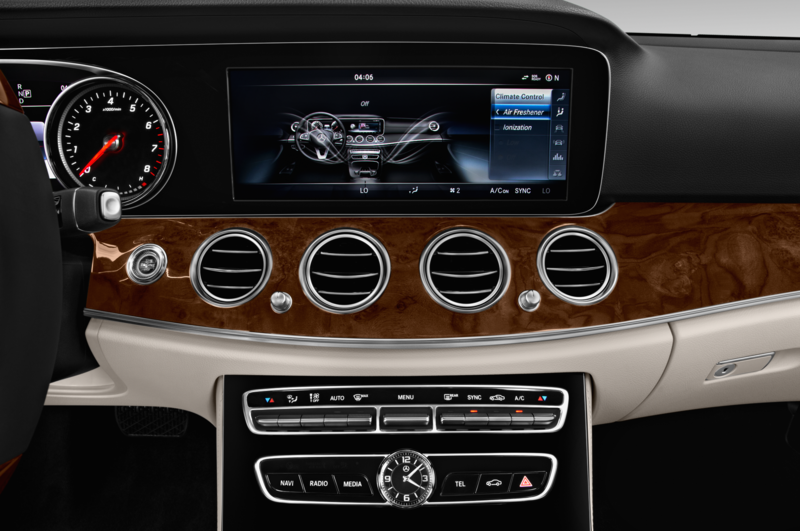 Beyond the steroidal realm of racetrack, the E-Class’s updated interior feels more masculine and premium in AMG trim, especially in our tester’s carbon and black leather-trimmed spec. 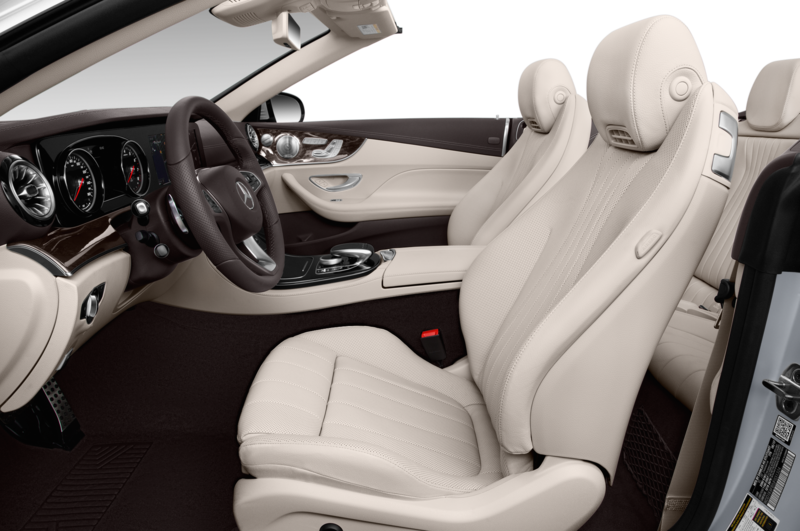 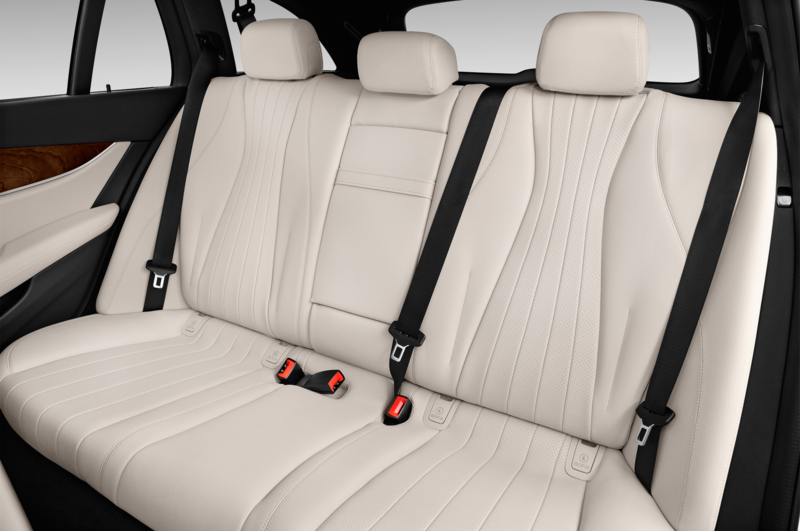 The optional sport seats fit my 5’11”, 185-pound frame snugly, even in their most generous setting, and are surprisingly stiff, even by sports car standards. 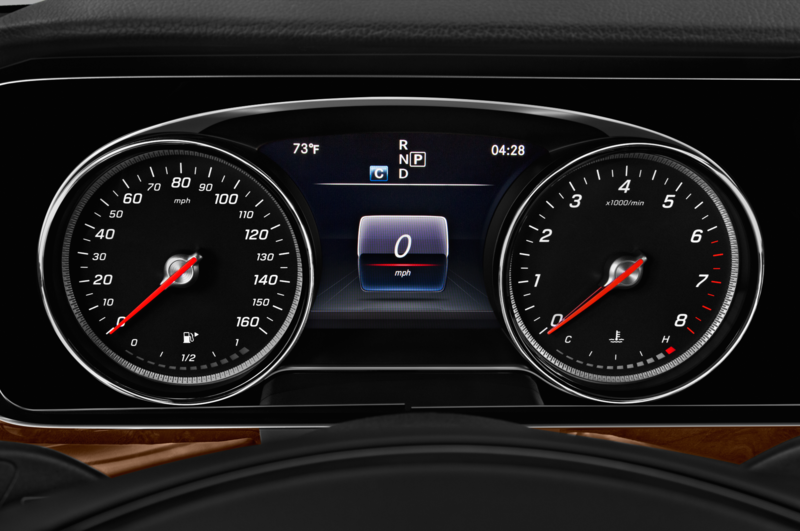 Here in the hushed world of stop signs and mile markers, the differences in drive modes make themselves more readily apparent than when muddled by the roar of the track. 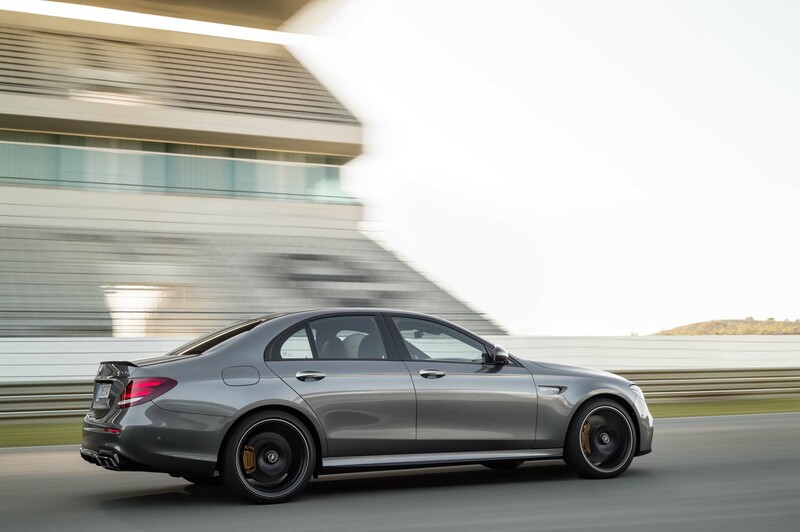 Startup in Sport mode, and the V-8 hums to life. 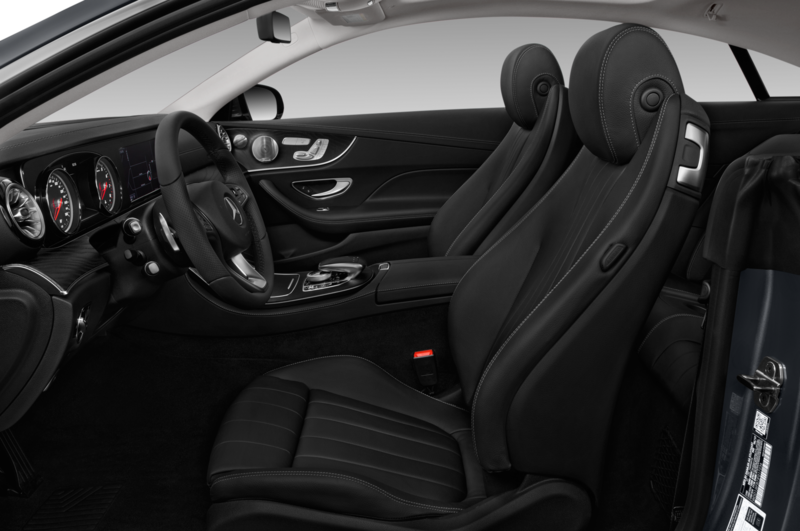 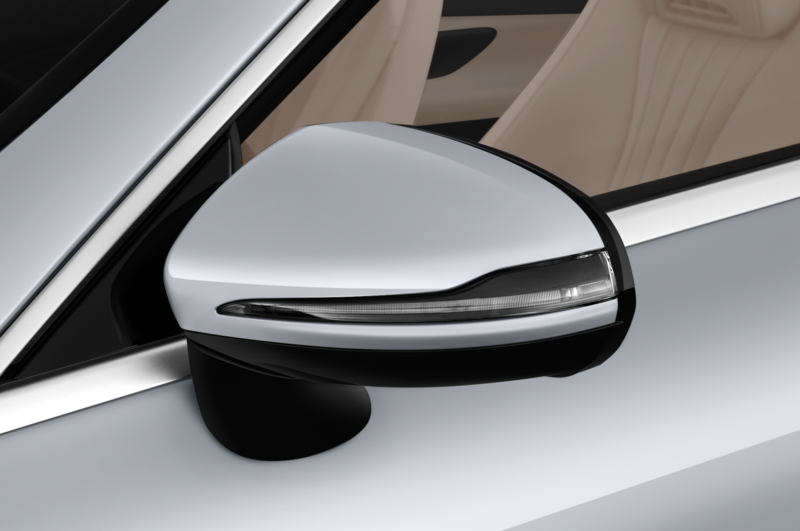 Fire it up in Sport +, and the exhaust crackles crisply, sending perceptible vibrations through the armrests and seatback when shifting at speed. 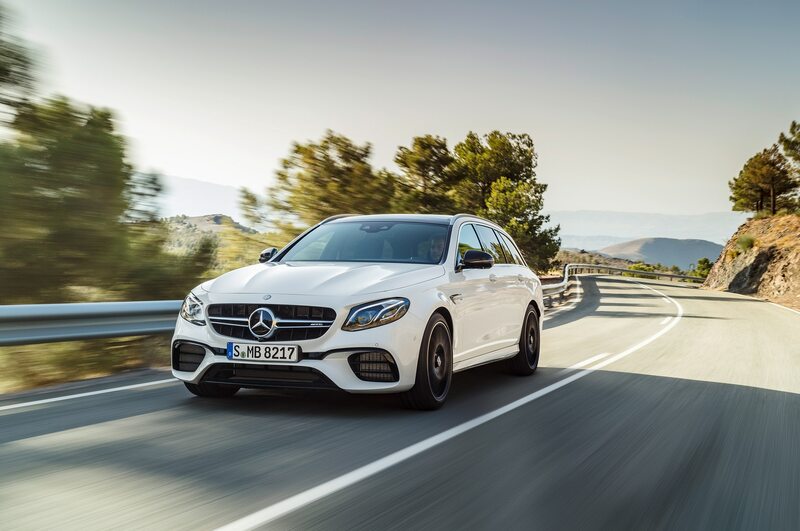 Drive time on winding roads through Portugal’s lush hill country puts the E63’s capabilities in stark, real world context. 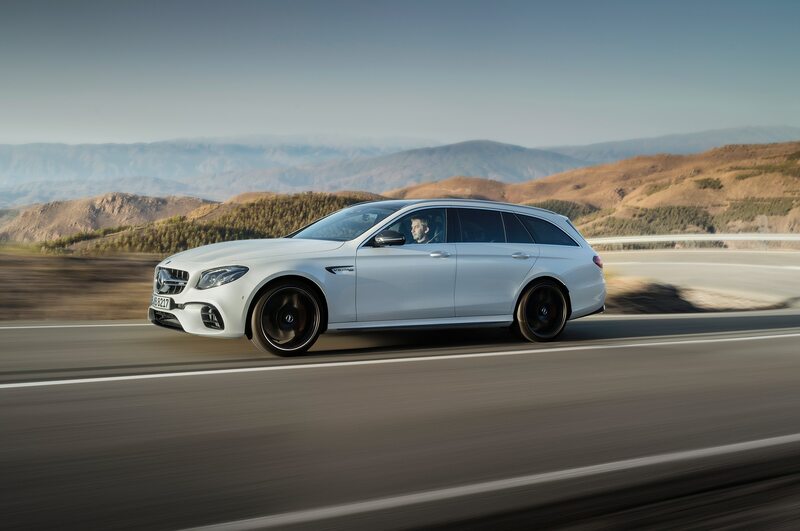 Without a $130,000 sports car leading the way, the E63 claws with surprising grip as it negotiates the rain-slicked asphalt on these tight roads, despite its generous footprint. 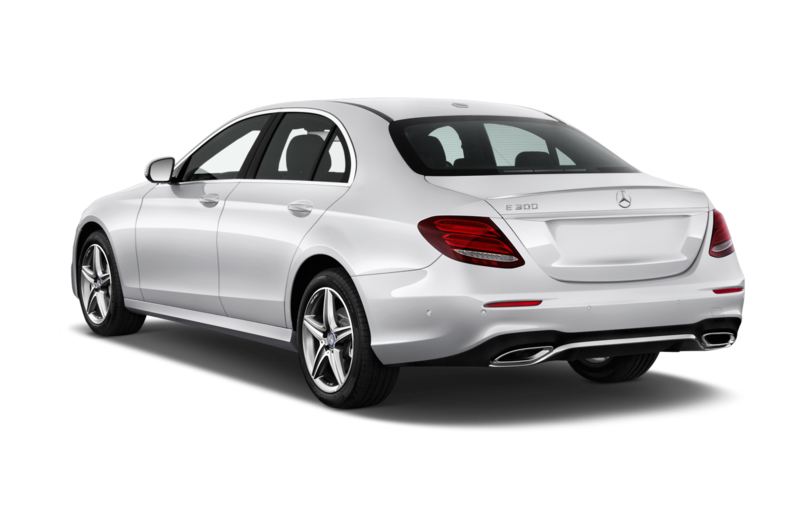 As with lesser E-class variants, the suspension doesn’t handle potholes as graciously as we’d like; an S-Class this ain’t. 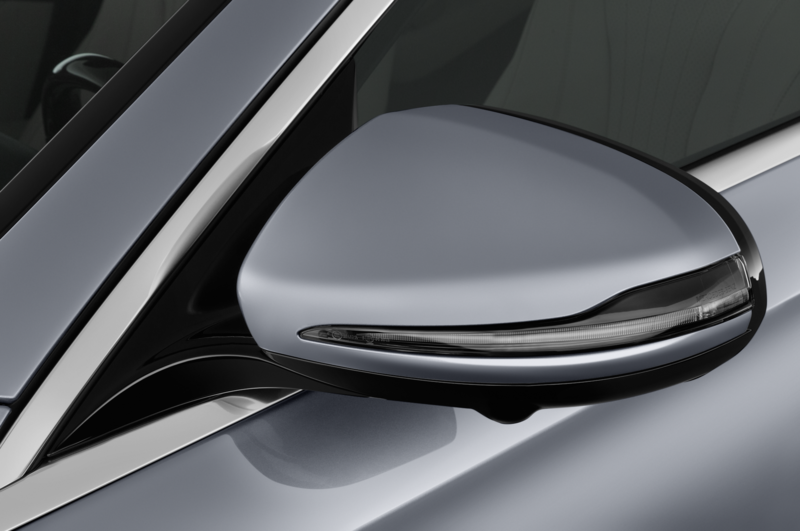 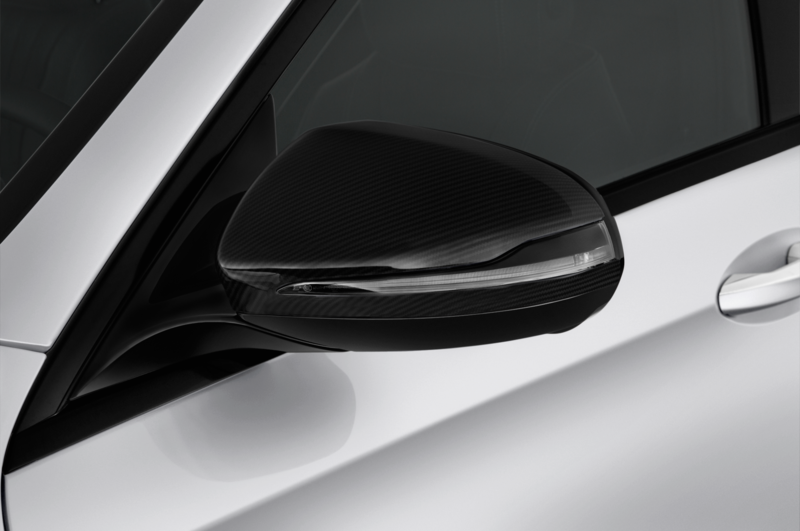 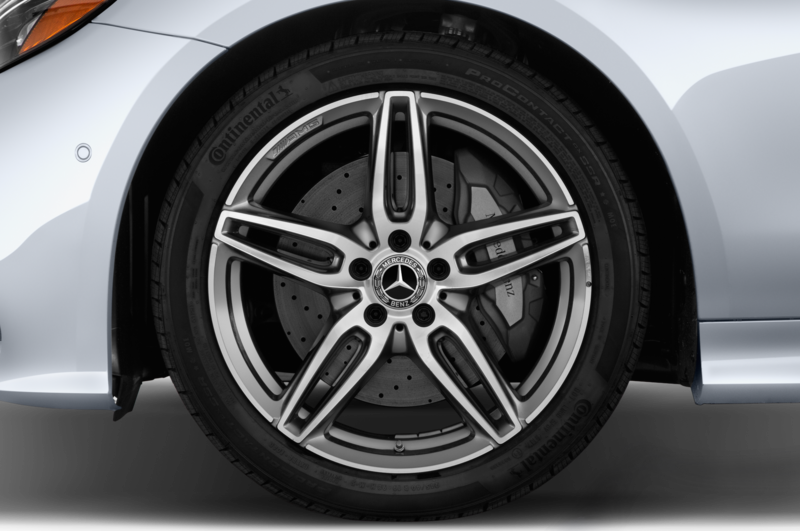 But there is outstanding responsiveness from the front wishbone/rear multilink setup, offering excellent body control in corners and noticeably stiffer damping in sportier settings. 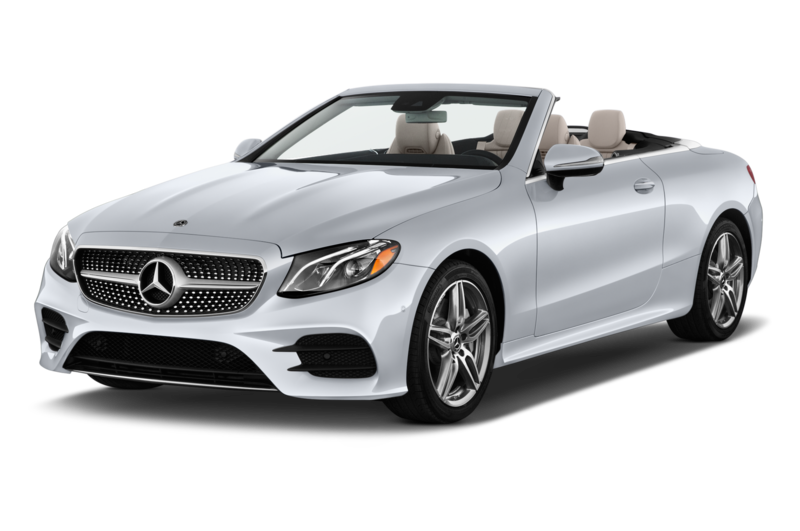 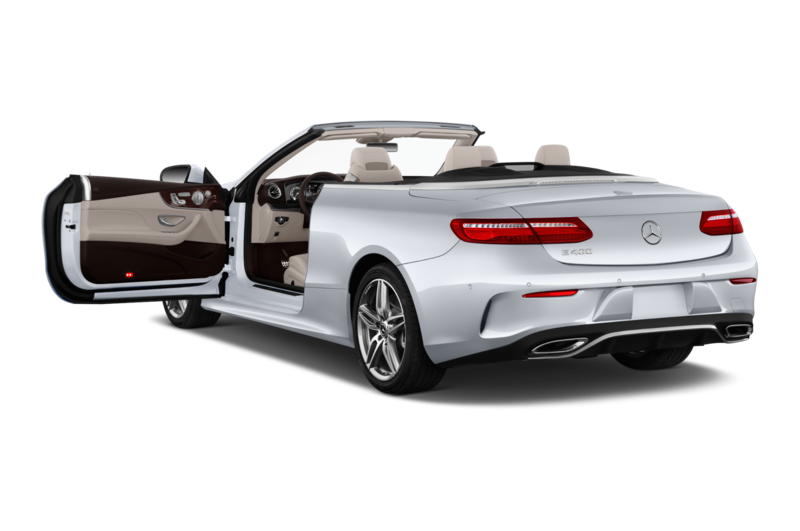 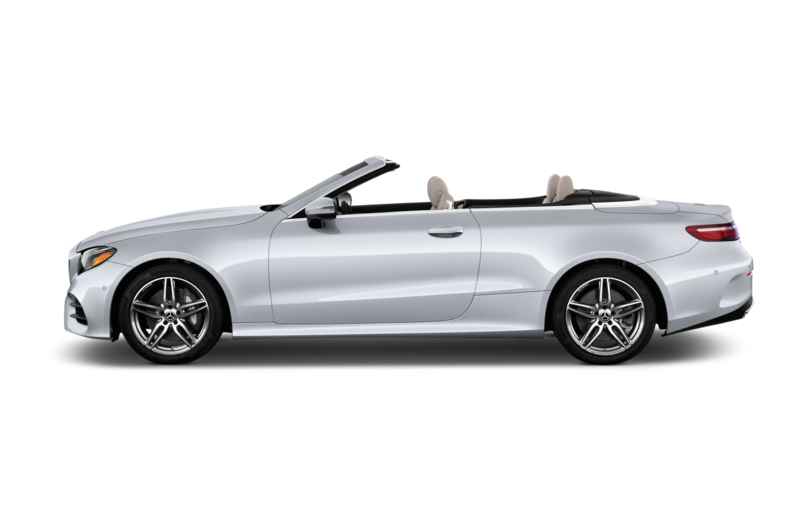 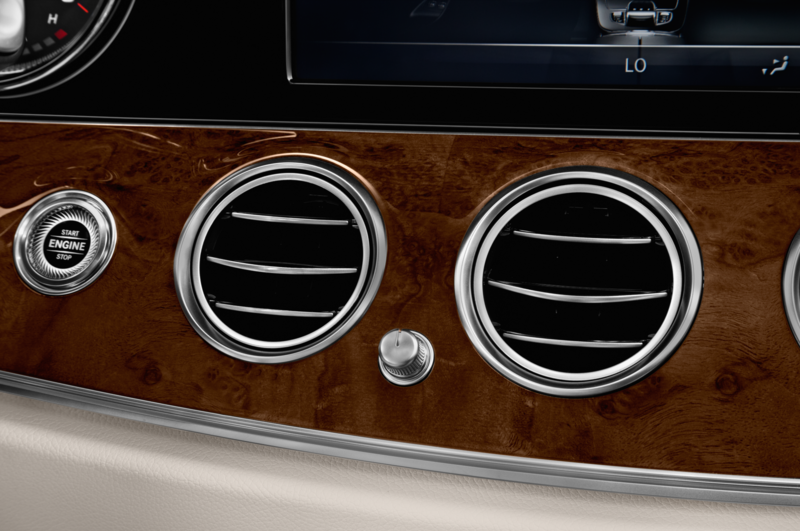 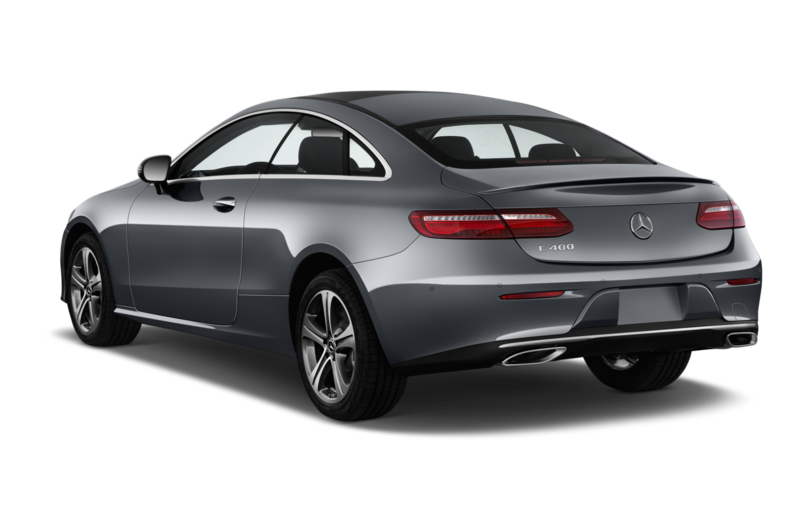 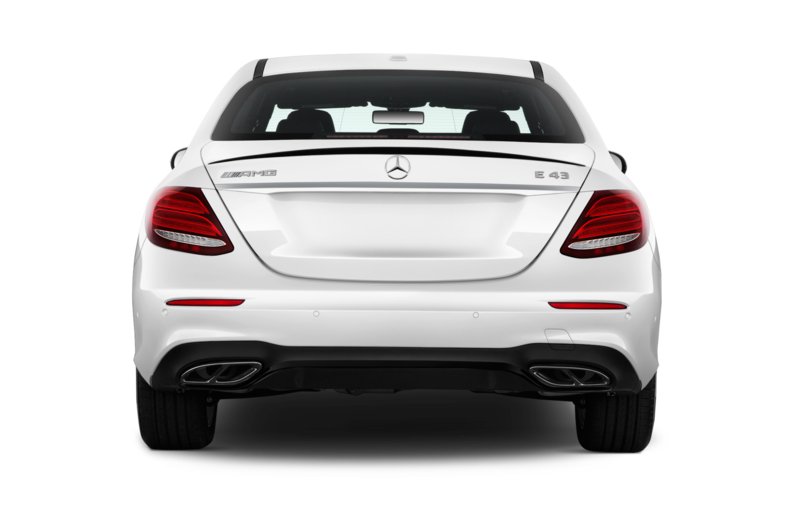 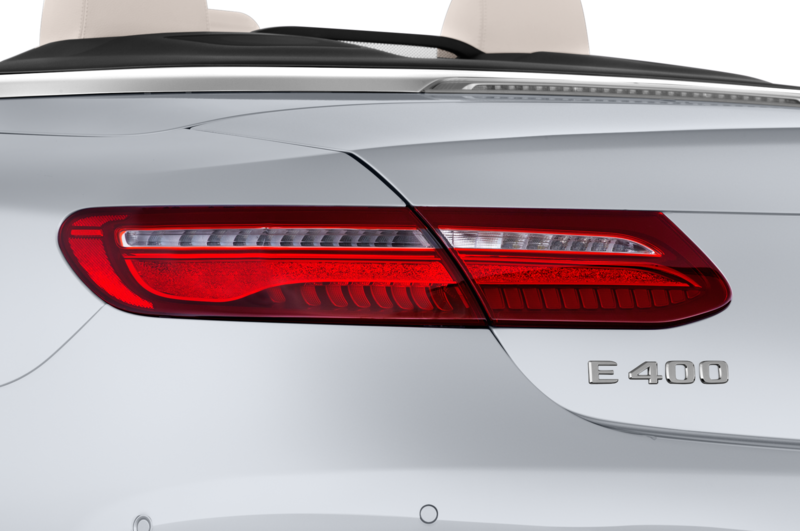 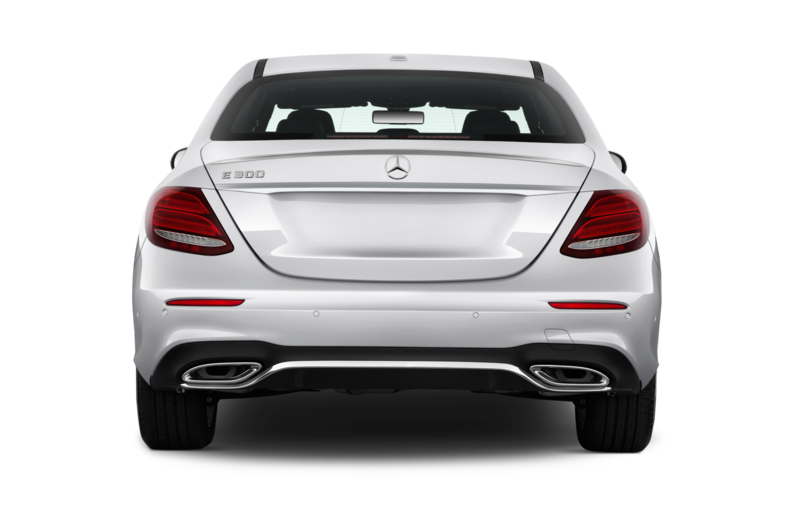 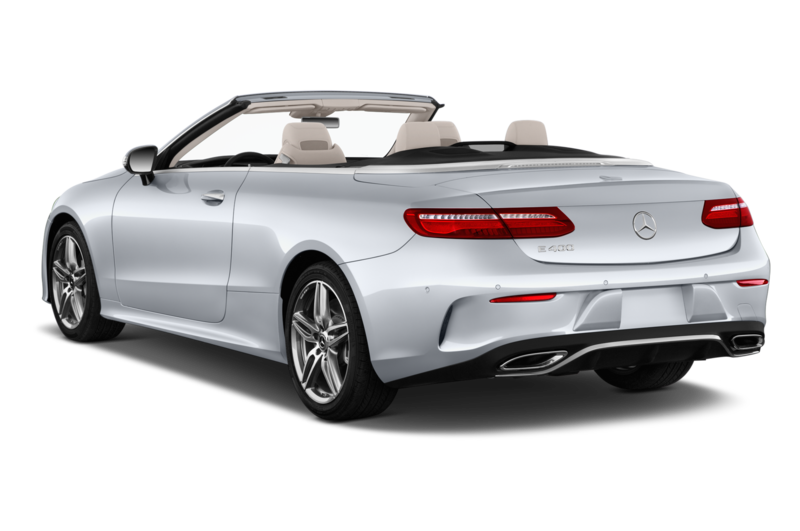 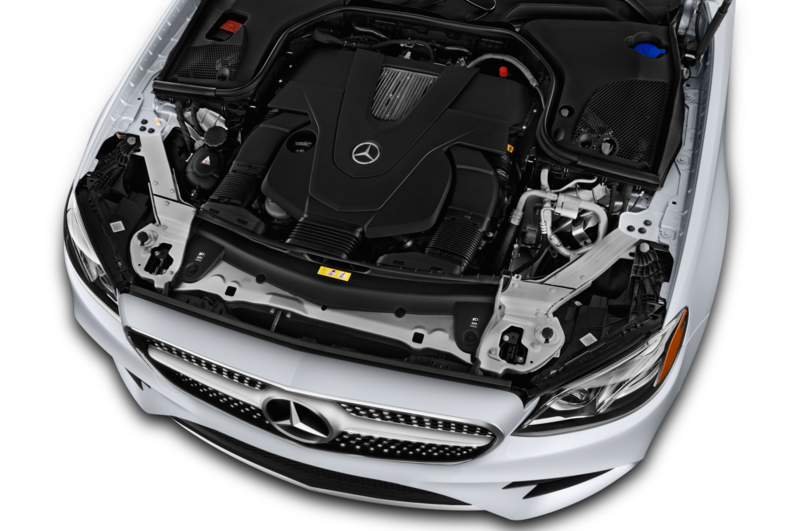 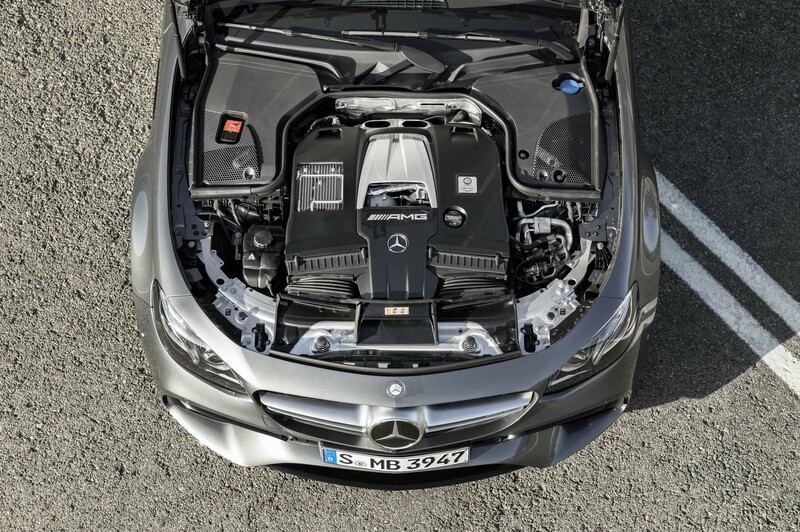 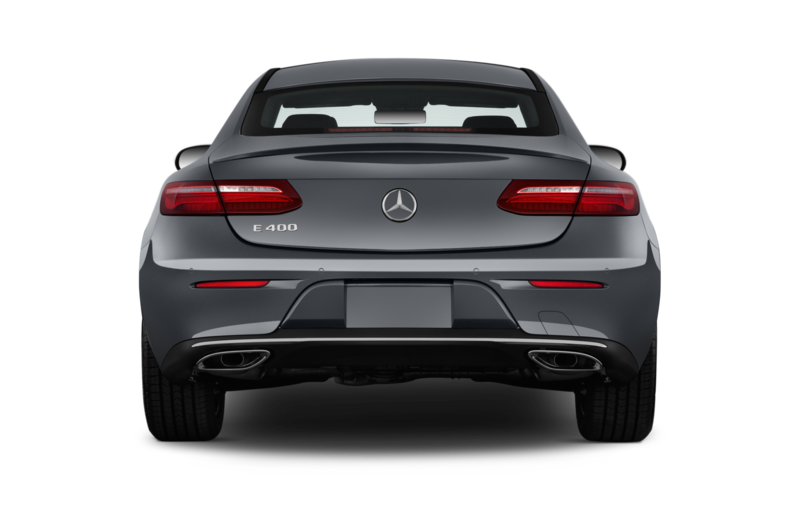 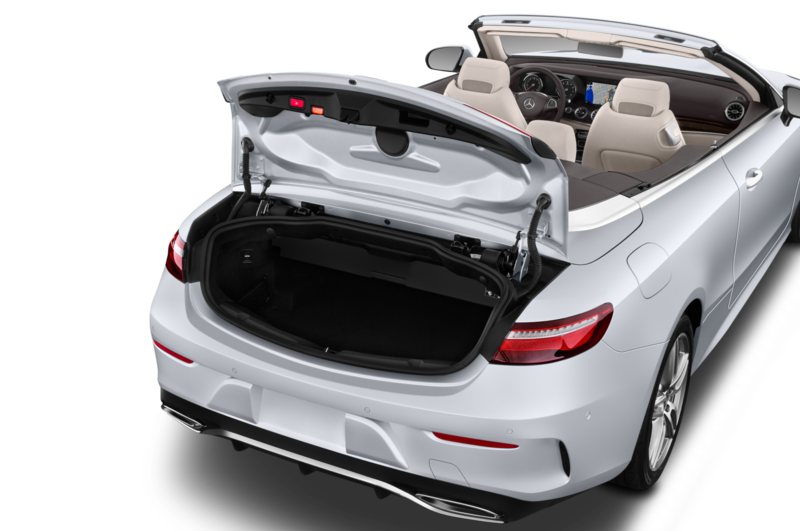 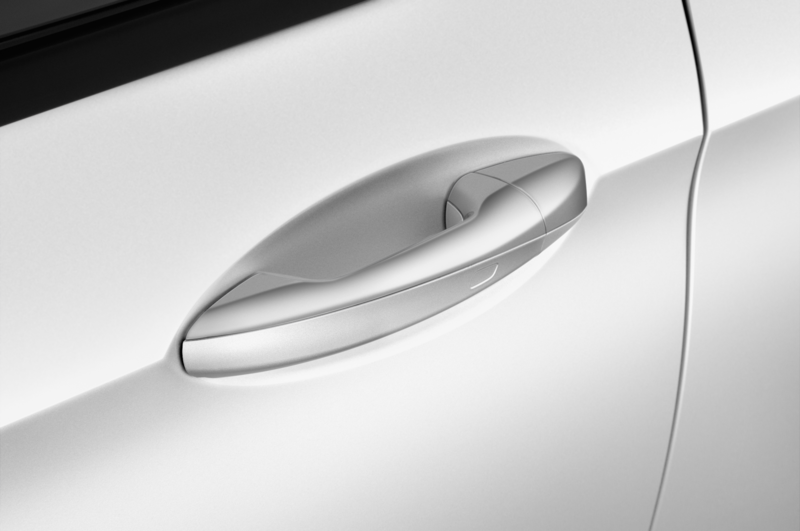 The V-8 uses the same cylinder-deactivation system also found on the SLK55, but you’re unlikely to see the tiny cylinder-and-con-rod graphic pop up if you drive the E63 the way it was intended to be driven. 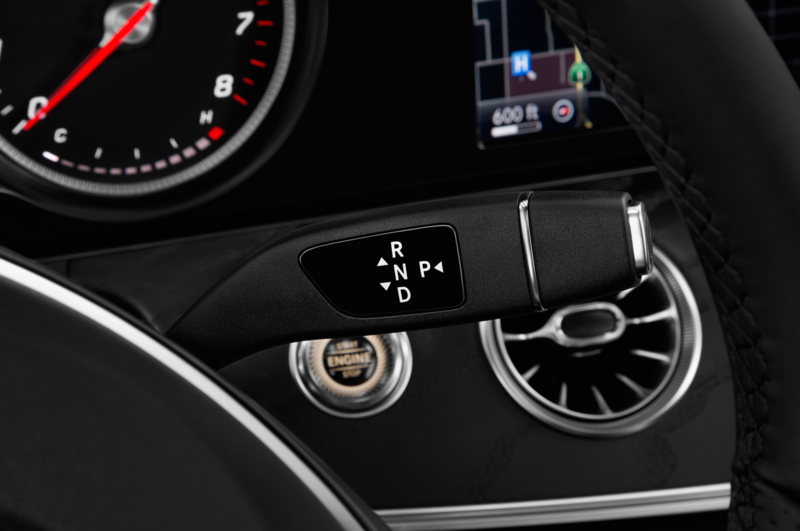 Steering, suspension, drivetrain, and stability control settings can be individually adjusted, but the preset modes — Comfort, Sport, Sport +, and Race — are well calibrated for a broad variety of conditions. 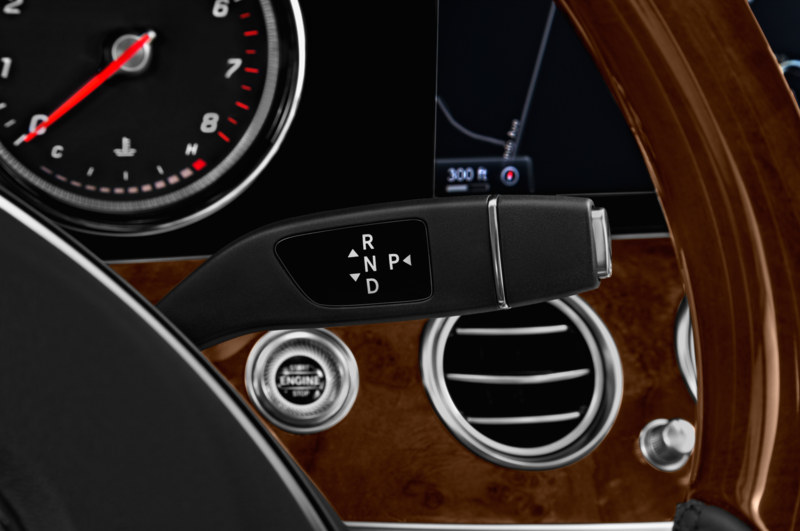 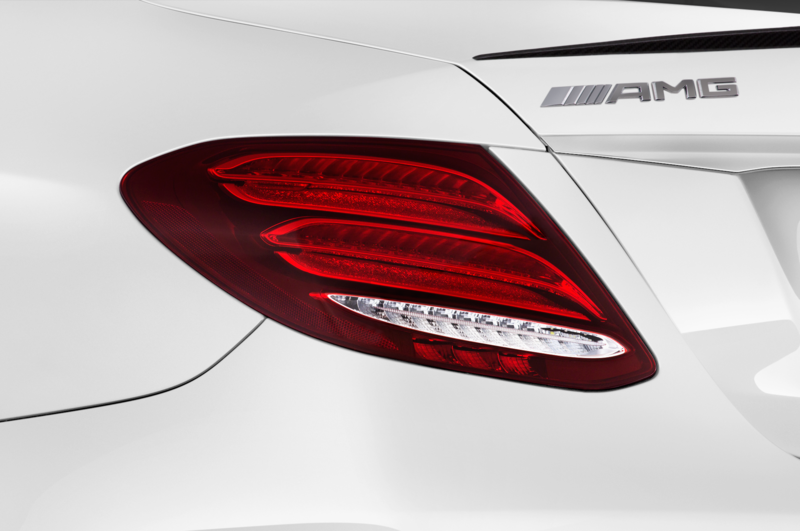 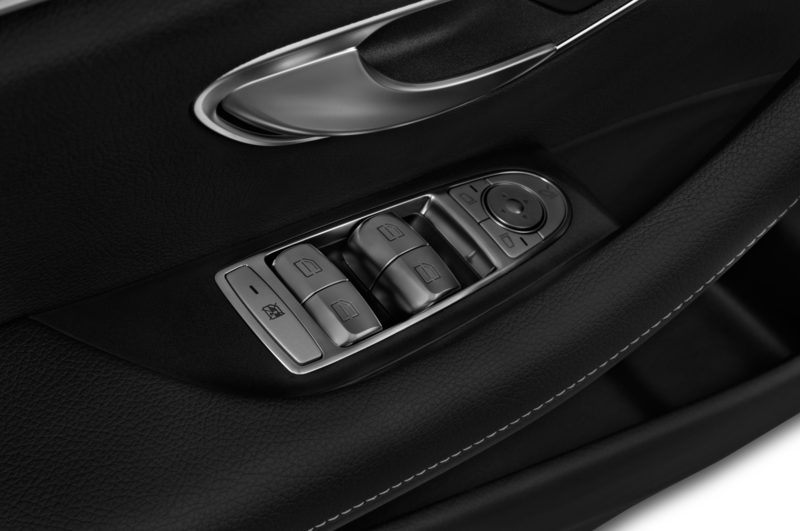 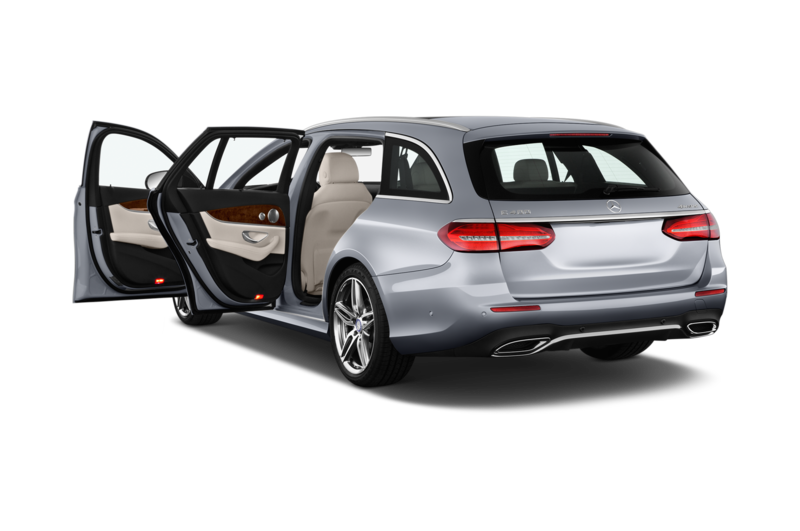 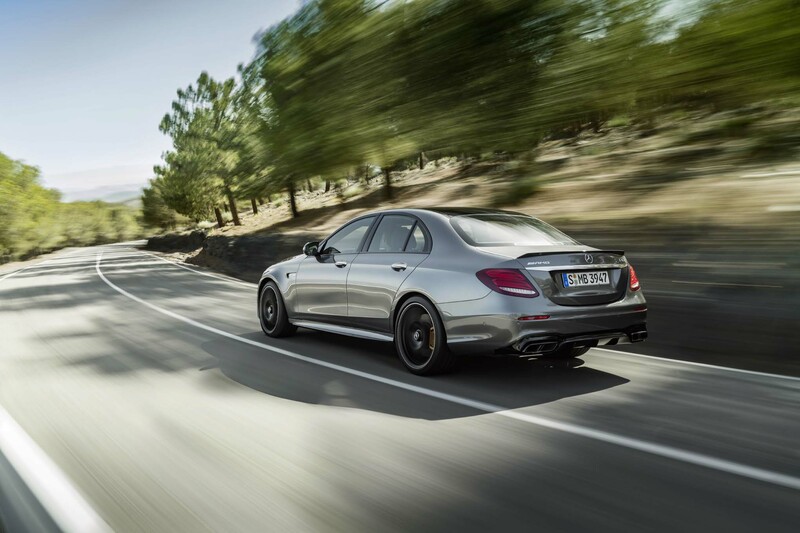 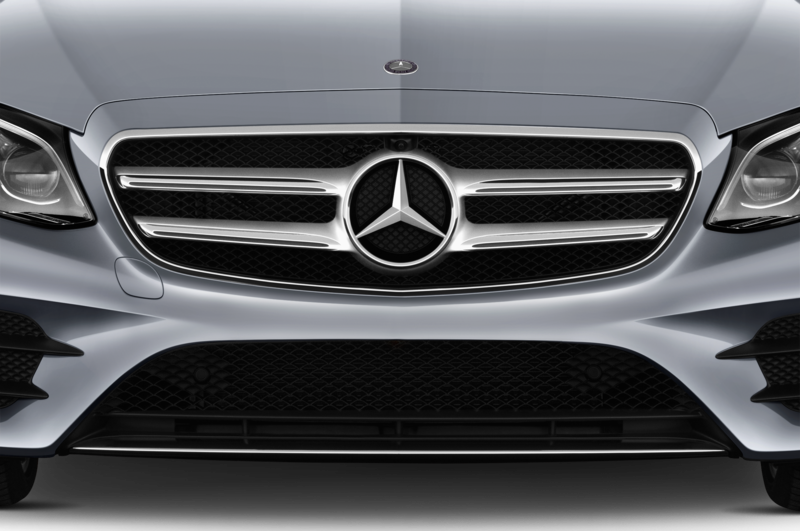 Press both pedals in Race mode and release the brake, and the E63 surges from a standstill with stunning instantaneity. Touches of torque steer can be felt under heavy throttle/low traction conditions, but the quirk is a small price to pay for the breadth of the E63’s performance envelope. 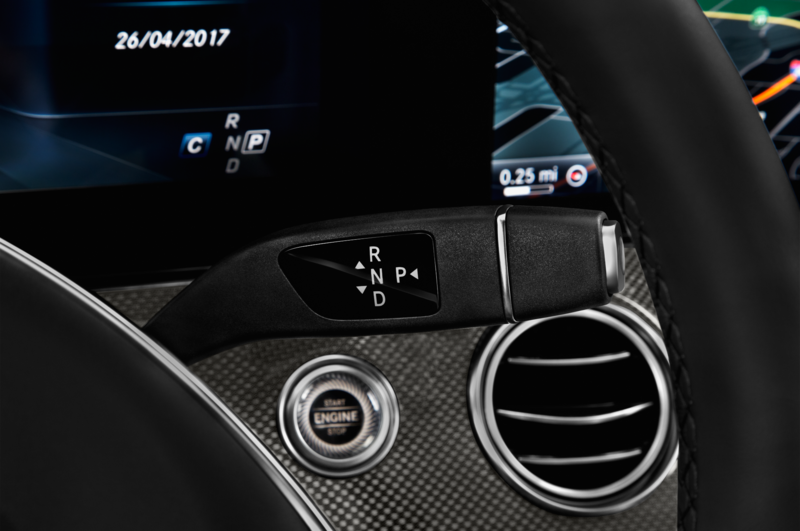 Steering feel is generally intuitive and predictable, and the variable ratio electromechanical system intervenes unobtrusively, quickening response at lows speeds and enhancing stability at higher speeds. 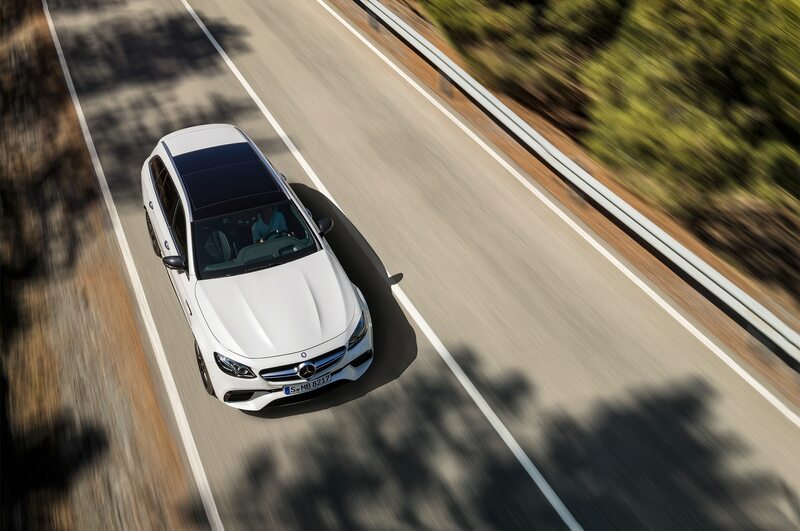 While variable ratio steering has yielded mixed results in shorter wheelbase cars (see: Lamborghini Huracan), the E-Class chassis feels well-suited to the technology thanks to its longer wheelbase and intuitively engineered application. 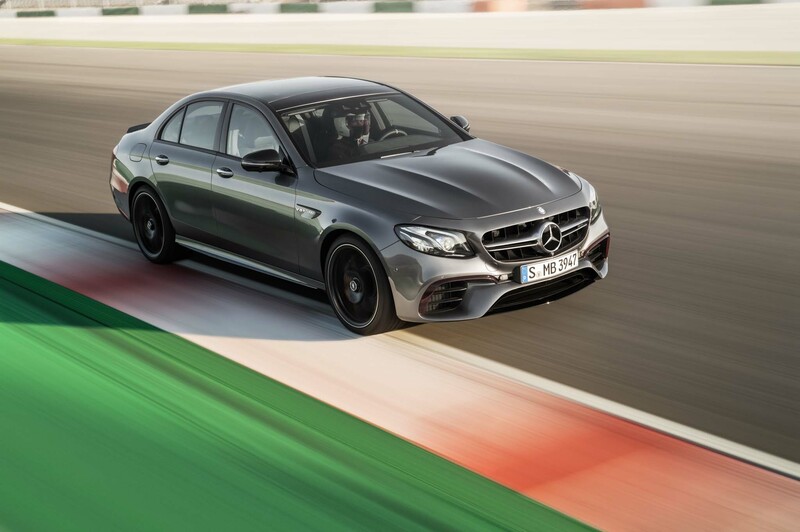 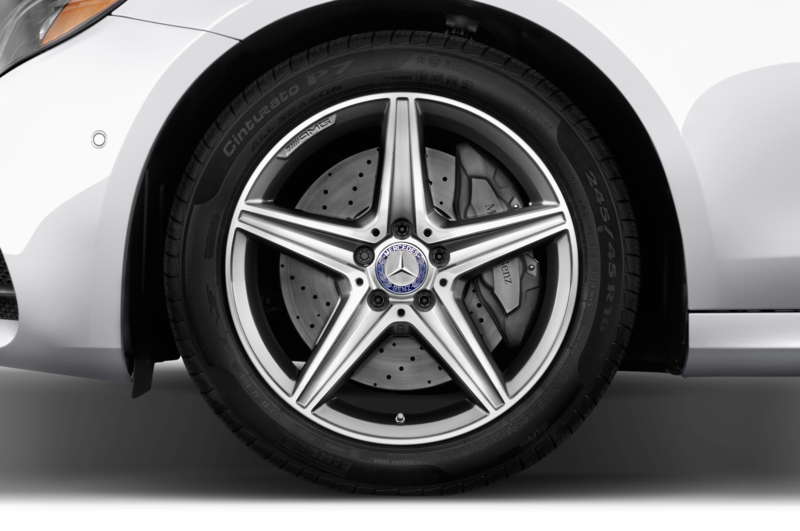 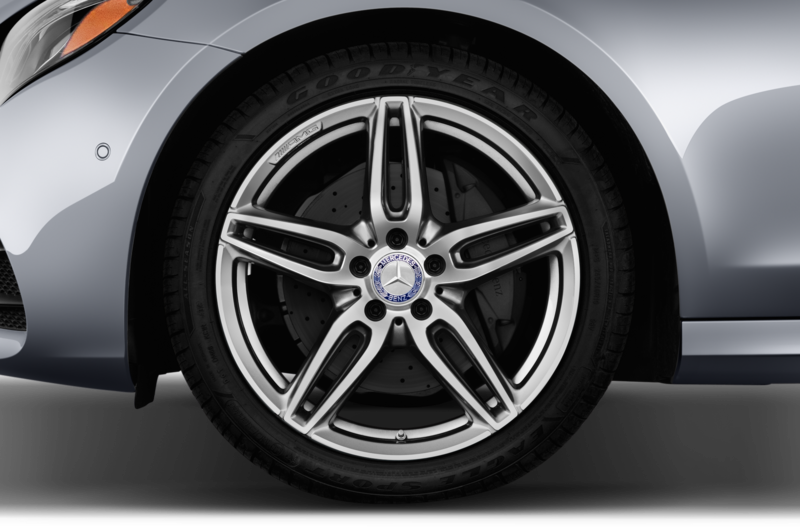 The Mercedes-AMG E-Class made a quantum leap when it gained all-wheel drive in 2013, enabling it to lay its considerable power down to the road and minimize wheelspin in the interest of forward momentum. 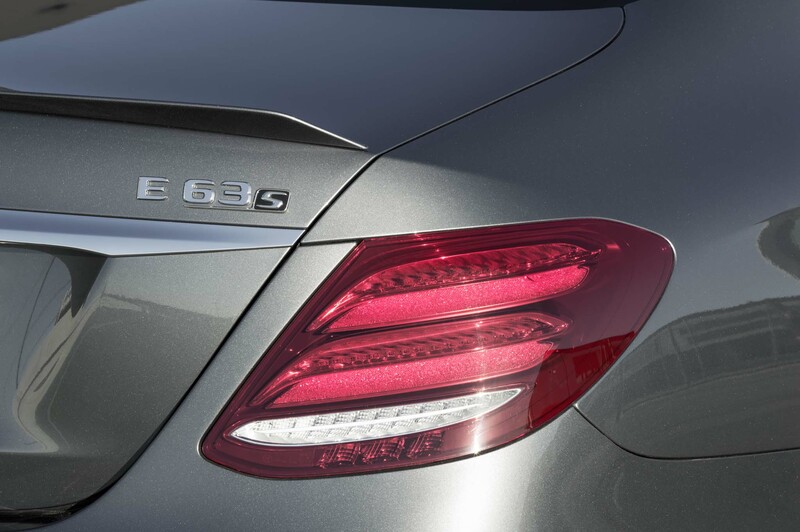 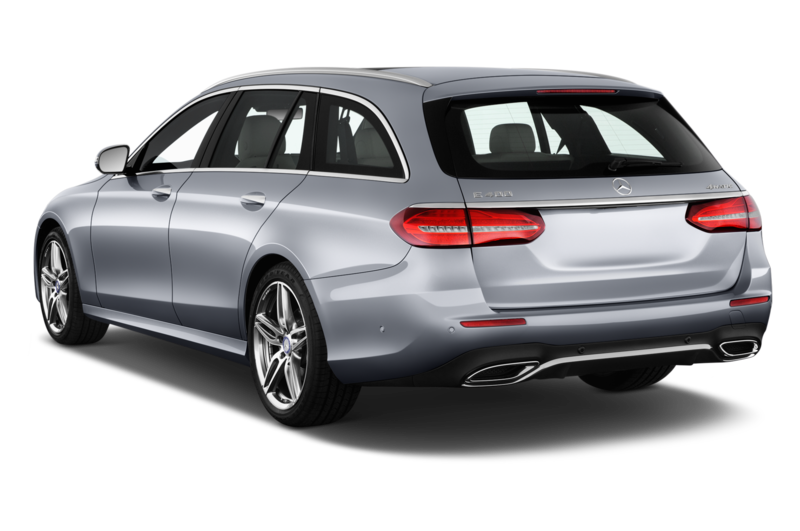 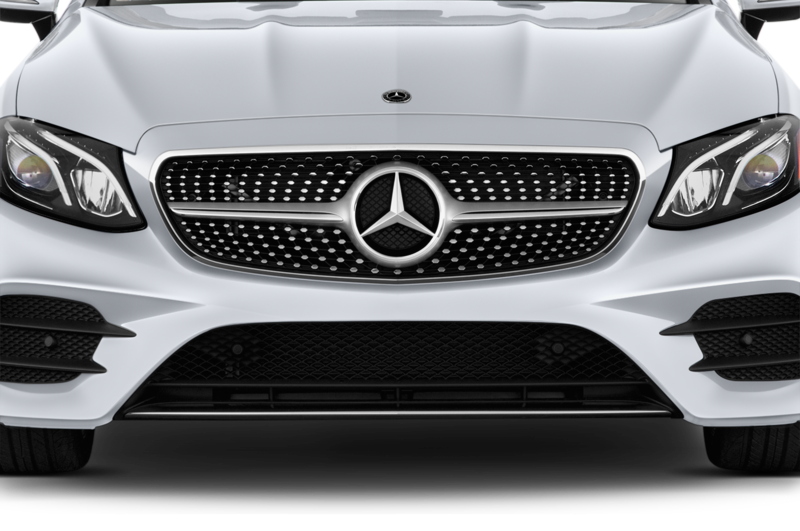 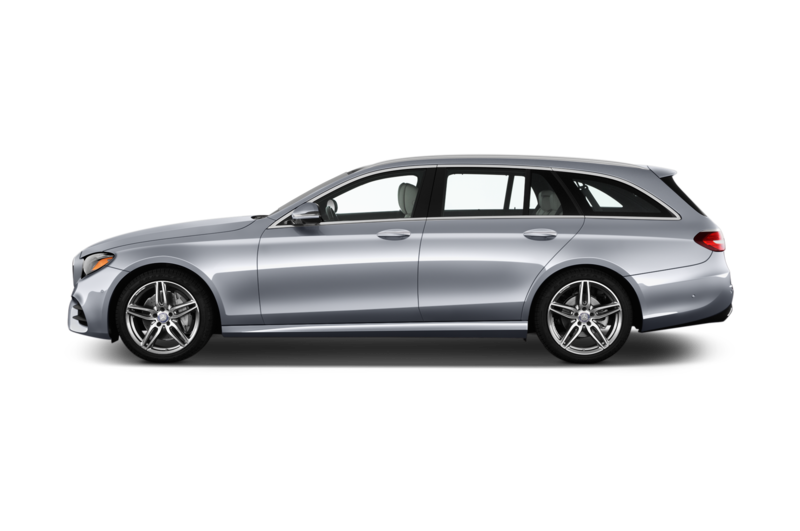 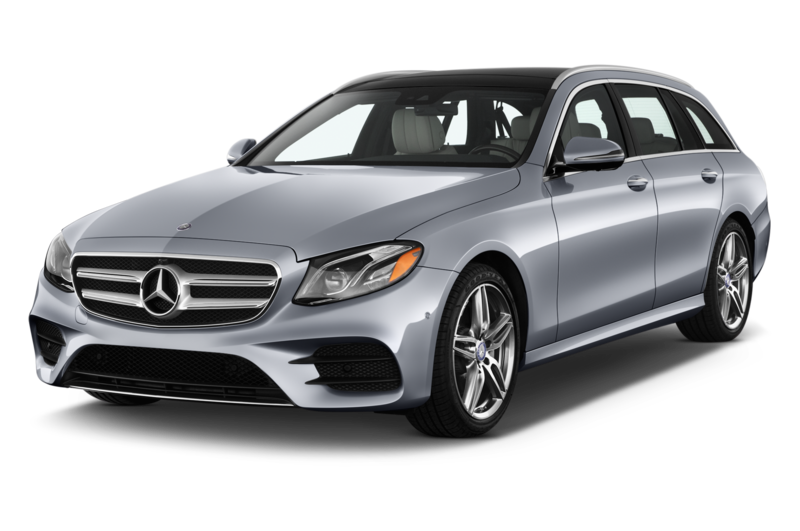 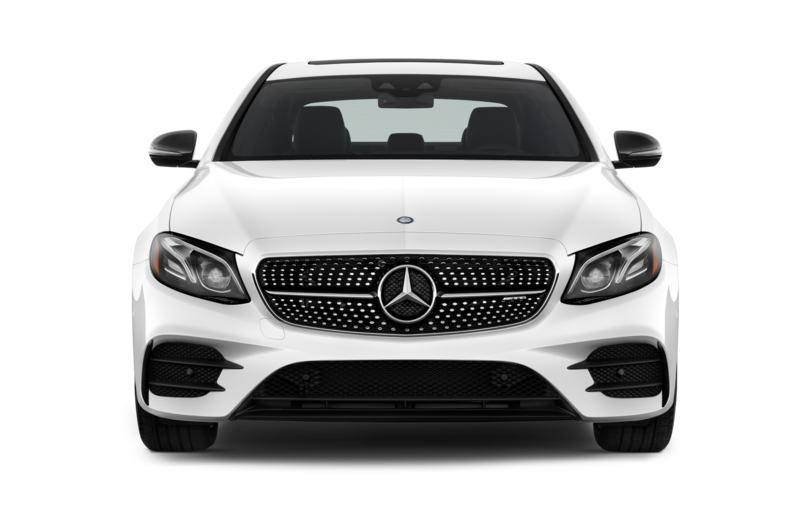 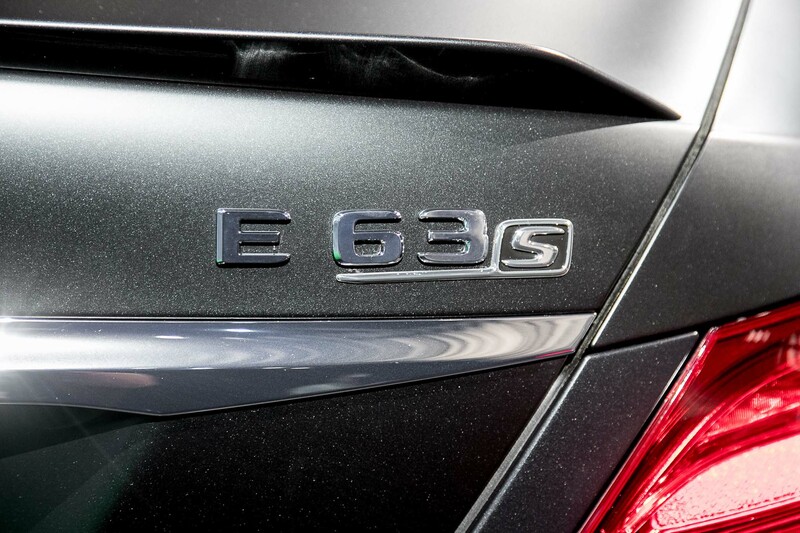 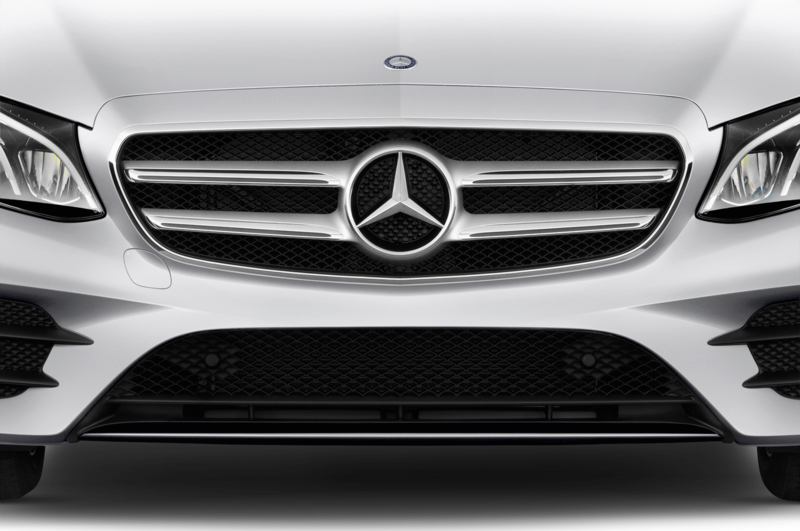 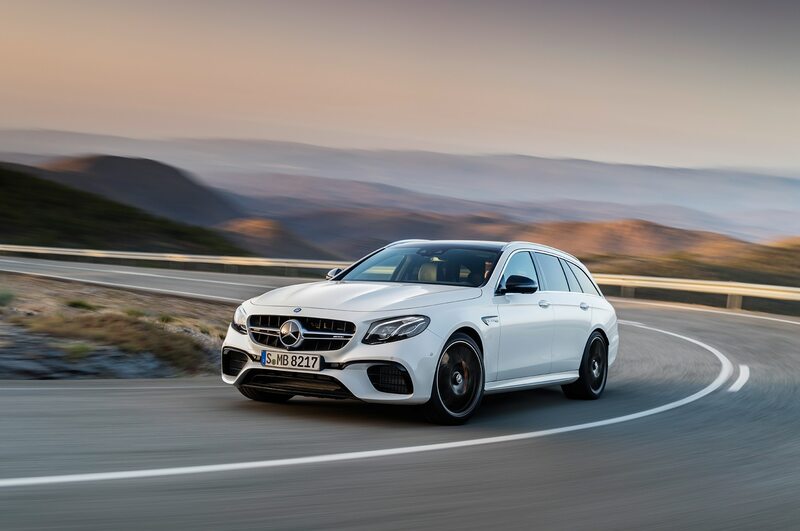 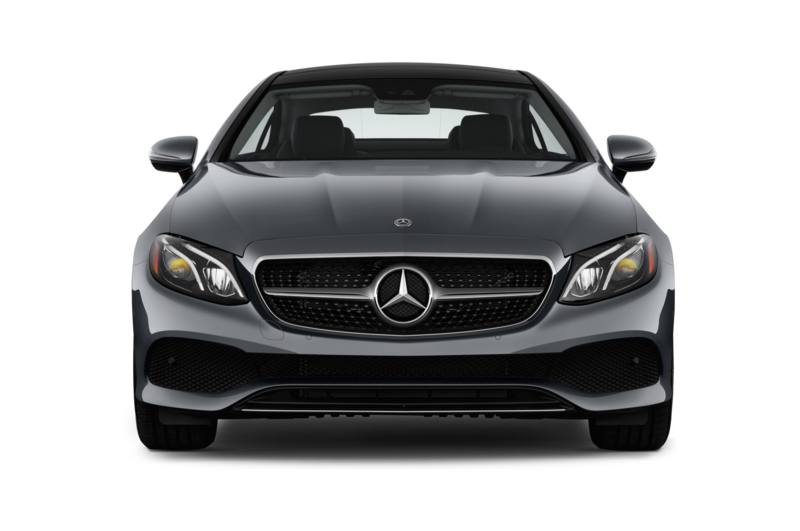 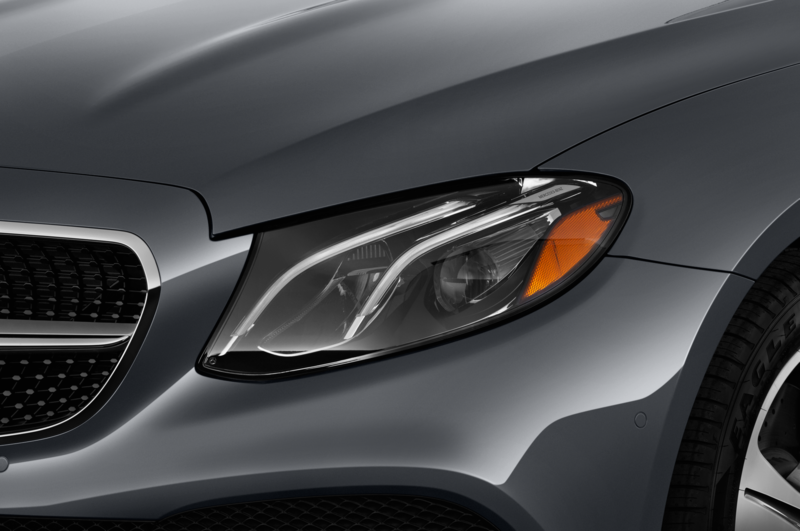 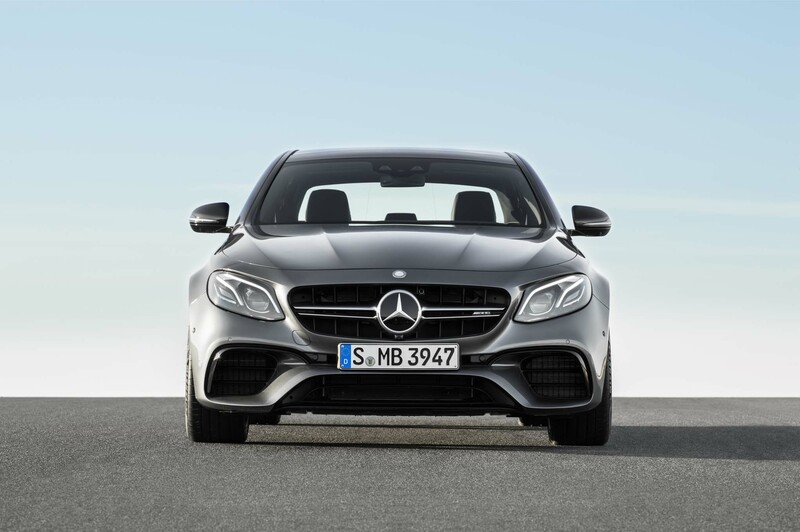 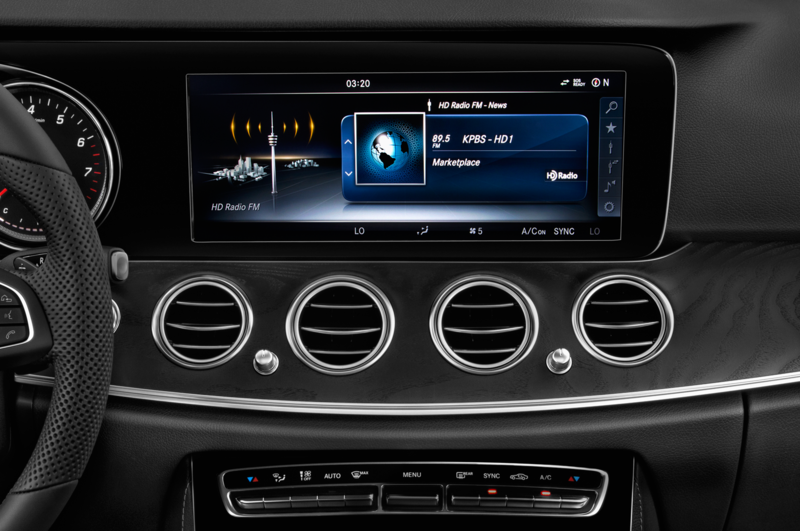 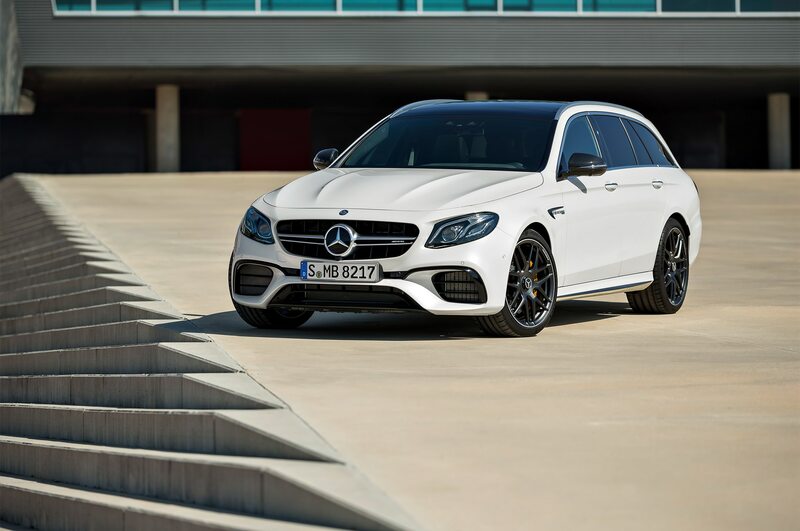 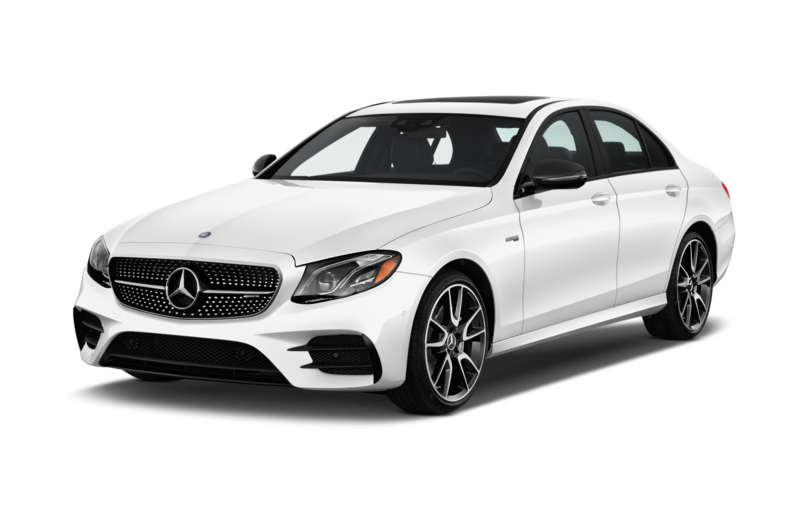 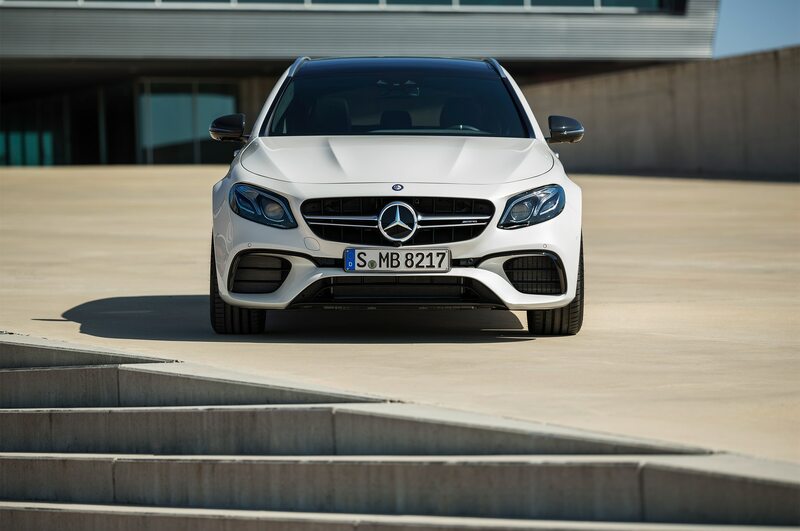 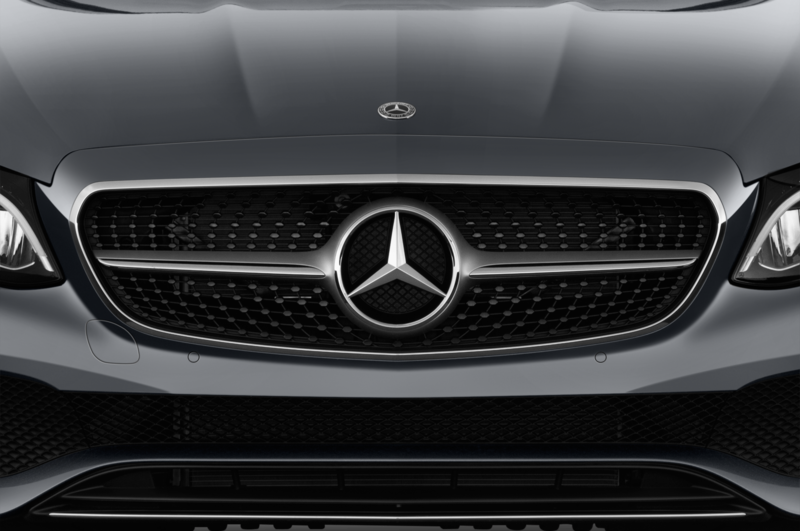 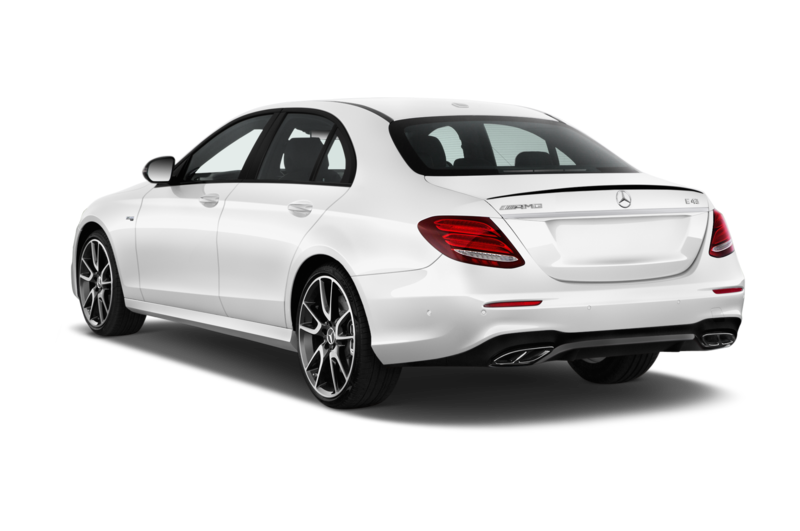 The new E63 takes those gains and adds more finesse, greater control, and even more power, enabling it to leapfrog its antecedent and push it closer to a segment usually reserved for focused two-seat sports cars.